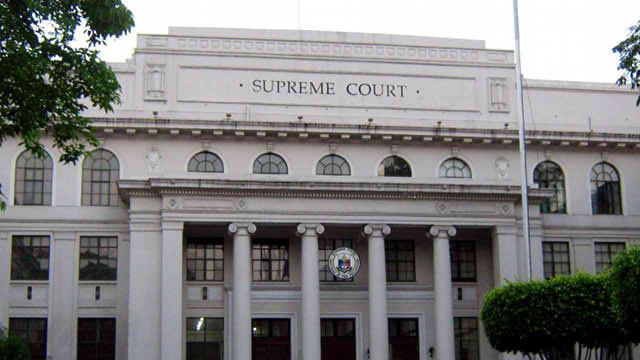 The Supreme Court (SC) of the Philippines already revealed the names of those who passed the recent November 2017 Philippine Bar Examination. According to the SC, there are 6,750 law graduates who took the exam and only 1,724 passed successfully. As detailed by the reported news online, the passing rate of the bar examination is only 25.5% during the exam periods from November 5, 12, 19 and 26, 2017. Committee Chairman Associate Justice Lucas Bersamin headed the 2017 Bar Examination with the assistance of at least 8 designated examiners for every subjects of the bar. ALCANTARA, Ma. Carmina Francesca M.
ANDAYA, Elenor Marisse Isabel M.
ANG, Terence John Ardolph L.
BAUTISTA, Eugenice Ivy Gwynn U.
BERNABE, Maria Evitha Sue M.
BERNARDO, Jose Luis Alberto A.
BERNARDO, Maria Karla Rosita V.
CABOCHAN, Ricardo Iii John D.
CACHAPERO, Olive Grace Ma. P.
CADIZ, Rose May Neña A.
CALATRAVA, Christian Tom Anthony Edwards G.
CAMACHO, Maria Pamela Eleanore L.
CARILLO, Ma. Salve Aure M.
CASTILLO, III, Israel Carlos Leo S.
CEBRIAN, JR., Jesus Claro T.
CID, Ed Von Allan F.
CLAVER, William Dan Saulo M.
CONGRESO, Ryanne Jane Karla C.
CONTADO, Ma. Glecy Joy A.
CONTRERAS, Gerard Samuel Alphonsus B.
CURIMAO, V, Paul Vicente E.
DAMASING, Ramon Enrico Custodio M.
DAPENA, Mary Rose Jane C.
DE BELEN, Joanne Marie G.
DE CLARO, Kristine Mariz I. DE DIOS, Christian Eduard A. DE GUZMAN, Elreen Joy O. DE GUZMAN, Jiana Joselle SC. DE GUZMAN, Juan Carlo E.
DE GUZMAN, Mageryl Shay B. DE GUZMAN, Mark Kristofferson O. DE JESUS, Maria Anna Cristina B. DE JESUS-SANCHEZ, Ria Camille M.
DE LA CALZADA, Alebeth Libra L.
DE LA CRUZ, Rafael, Iii A. DE LA CRUZ-SEGUI, Frances Mae C.
DE LA PAZ, Jaenise Rae A. DE LA PEÑA, Hilary June E.
DE LEON, Mae Lalaine H.
DE LEON, Myra Beatriz B. DE LIRA, Dana Flynch R.
DE LOS REYES, Norietess P.
DE MESA, Athena Christa DG. DE PEDRO, Ivy Joyce L.
DE SILVA, Denison Paul B. DE VERA, Jonathan Earl C.
DE VERA, Pauline Kaye Y. DE ZUZUARREGUI, Vivian Rose L.
DEL CASTILLO, Arra Charmaine L.
DEL ROSARIO, Renz Anthony B.
DEL ROSARIO, III, Daniel R.
DEL ROSARIO, JR., Ruben Jose G.
DEL VALLE, Francis Julius Romeo D.
DELA CRUZ, John Benedick R.
DELA CRUZ, Lovely Mei R.
DELA CRUZ, Niki Beryl B.
DOLINA, Leon Chad Anthony S.
DUQUE, Florence Philippa Concepcion A.
ESPINA, Nicole Elena Iii C.
FARIÑAS, II, Roger John C.
FELICIANO, Ma. Mercedes Ponciana C.
FERRER, Terence Mark Arthur S.
FULLECIDO, John Raymund Vincent A.
GAUDIEL, JR., Daniel Kien T.
GONZALES, Jonn Kenneth Laurence A.
GUEVARA, Arjuna Das Matthew F.
IBUNA, Ma. Rossellina Angeline S.
JORES, Ma. Jherie Joie S.
JOSE, Juan Alfonso Augustus I.
JUAN, Ma. Barbara Raizza J.
LARA, Sheila Marie Rose G.
LAZARO, JR., Joe Abad S.
LI, Celia Marie Kimberly O.
LIM, Leomard Silver Joseph C.
LIM, Marie Felise Dominique V.
LIM, Mary Aubbrey Leigh B.
LIPAT, Mar Al Kriston D.
LIPAT, Maree Aiko Dawn D.
LORA, Ann Lucille Grace L.
LUA, Maria Carmela Cyril E.
LUZON, Janno Louie Ceasar A.
MALON, JR., Salip Yang A.
MARTINEZ, Jose Audie Rustum R.
MESINA, Julie Ann Joy N.
MORENO, III, Rufino Gerard G.
ONGKEKO, Antonio Rafael, Jr. B.
PACAMARRA, John Eric Floyd C.
PADAYAO, Rei Mari Jule M.
PALIGAN, JR., Francis Allen T.
PANGANIBAN, Miko Jim Paulo V.
PASCUAL, Madonna Immaculada Concepcion M.
PIGAO, II, John Socrates G.
REDIANG, JR., Rex Antonio C.
RODRIGUEZ, Mary Elizabeth Christine D.
ROQUE, Jenina Marie Bernadette R.
ROSALES, Ge Ann Francia S.
ROSAS, Jose Rommel, Jr. I.
RUIZ, Maria Bianca Leanne SJ. SAN JOSE, Aileen Mae R.
SAN JUAN, Nicole Beatrice R.
SAN JUAN, Ronald Ray K.
SANTOS, Jewelle Ann Lou P.
SILVANO, Ma. Berna Joyce M.
SILVOSA, Lex Joshua Andrew U.
SIVA, Isabel Pia Rose E.
SOLINAP, Joyce Ann May C.
SOLLANO, Jose Gabriel Antonio T.
SUEDAD, Mary Charlen Joy P.
SUMILONG, Paolo Miguel Francisco A.
SY, Luis Jude Rey B.
SY, Ma. Frances Aira G.
TAN, Michelle Aimee Lyn O.
TANTOCO, JR., Michael John A.
TAUTHO, Kay Frin Chez C.
TEJERO, Faizah Gladys Mae K.
TOLENTINO, Nikkolas Lorenzo Domingo G.
VELASCO, Mary Ann Margaret F.
VERIDIANO, III, Michael Noel R.
YAP DUQUE, Antoinette Valerie Y.
YERRO, IV, Teodolfo Martin S.
The Supreme Court already announced the list of passers for the November 2016 Philippine Bar Examination Results. 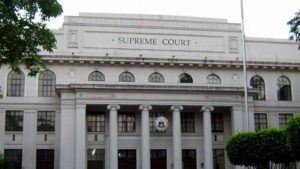 According from the announcement on Wednesday, about 3,747 passed the bar exam out of 6,344 examinees. The 59.60 percent passing rate is the highest achieve score after almost 16 years, as detailed on the information shared by the SC. The top passer is Karen Mae Calam who is from the University of San Carlos in Cebu. She garnered a score of 89.05%. A very intriguing fact about the revealed top 10 examinees is that none of them came from Manila. Regarding the registration of the oath-taking of the new passers, the SC announced that the schedule will be on May 22, 2017 at the Mall of Asia MOA) Arena. 2. ABAD, Imelda Theresa C.
4. ABANCE, Denise Jane S.
5. ABANGAD, Mohamad Mon-em I. 8. ABARCAR, Anna Mari E.
10. ABATING, Hermo Dennis A. 11. ABATON, Mohammad Nasif M.
12. ABAYA, Pauline Mae C.
13. ABAYARI, Maria Lourdes B. 14. ABAÑO, Joanna Christine C.
16. ABBAS, Mhyra Jane M.
17. ABBU, JR., Jose Pepe S.
21. ABEJERO, Marian Jo Silma E.
22. ABEJO, Joanne Tricia M.
26. ABELO, Shyrell Morena Marie C.
27. ABERIN, Ma. Bernice Doreen M.
28. ABESAMIS, Austinne Joyce D.
32. ABREJERA, Naomi Janille C.
33. ABRENICA, Concepteone Marree A. 35. ABUCEJO, Vincent Tito B. 36. ABUEL, Regine Jessica D.
37. ABUEL, Sarah Jane C.
38. ABUL, JR., Douglas V.
40. ACAS, II, Jose Realito A. 41. ACEDILLO, Rey Daniel S.
42. ACERO, Feil Anthony B. 43. ACERO, Ruth Abigail R.
44. ACERON, Ace Gregory F.
46. ACHAY, Maria Flora D.
49. ACOSTA, Lara Mae N.
50. ACUBA, Liana Marice J. 51. ADALEM, Miguel Paolo L.
53. ADARME-ROVERO, Mary Grecelle G.
54. ADOLFO, Ana Frances G.
55. ADOLFO, Siena Katrina K.
57. ADRALES, Catherine Grace L.
58. ADRIANO, Angeli Rose Therese R.
59. ADVINCULA, Bai Hundra Cassandra Dominique N.
60. AFABLE, Karla Alexis M.
61. AGASANG, Mark Anthony R.
62. AGBAYANI, Aimee May D.
63. AGBAYANI, Czar Ian R.
64. AGBAYANI, JR., John Glenn C.
68. AGDON, Ma. Regine Joyce C.
71. AGLIAM, Lorely Christine R.
74. AGORILLA, Francis Arvy G.
75. AGOSILA, Maureen Therese G.
77. AGUADO, Cheysser Anne V.
79. AGUILA, Carl Vincent E.
80. AGUILA, Carolaine Ann A. 83. AGUILA, Ian Luis C.
84. AGUILA, Joe Vincent R.
85. AGUILA, Pamela Joannie M.
86. AGUILA, Patricia Ann A. 87. AGUILAR, Angelica Joy Q. 88. AGUILAR, Jake Toby T.
89. AGUILAR, Joana Rose D.
90. AGUILAR, II, Sir Frederick C.
92. AGUINALDO, Ma. Janelli Erika K.
96. AGUSTIN, Diane Angeline T.
97. AGUSTIN, Johanne Emmanuel G.
98. AGUSTIN, Kimberly Jayne R.
101. ALABA, Johannes Jude U. 103. ALAMAG, Cherie Mae R.
104. ALAMEDA, Joy Catherine P.
106. ALANO, Allan Enrico E.
107. ALANO, Erich Justine V.
109. ALAUYA-BAYANAN, Aina Sania A. 111. ALBA, Avvy Cristabelle Z. 112. ALBA, JR., Benito A. 113. ALBACETE, Mae Therese C.
114. ALBAO, Tyron Jan G.
115. ALBAÑO, Mary Grace B. 116. ALBEOS, Centvie Joie F.
117. ALBERTO, Jelen Grace M.
118. ALBESA, Adrian Francis V.
119. ALBRECHT, John Jason N.
120. ALCAIN, Maria Lourdes F.
121. ALCANTARA, Cherie Maryse O. 126. ALCAZAR, Jona May M.
127. ALCID, Alexandra Elyze R.
129. ALCONABA, Mary Rose B. 130. ALCONERA, Virgilio Paolo A. 132. ALDE, Gemma Mae C.
135. ALEGADO, Gem Loren S.
136. ALEGRE, Jan Catherine I. 137. ALEGRE, Julie Anne B. 140. ALEJANDRO, Ma. Venida V.
141. ALEJANDRO-VALDEZ, Camille Corazon M.
142. ALEMANIA, Mary Grace M.
143. ALFAFARA, Rosa Cecilia K.
145. ALFEREZ, Angeline Rose A. 146. ALFONSO, Juan Paolo G.
148. ALI, JR., Camad C.
149. ALIBIN, Mikko Paulo O. 150. ALICER-AVILA, Diana Jean A. 151. ALIDO, Kristell Ann Marie O. 152. ALIMANGOHAN, Lievj Raoni B. 154. ALIP, Yasmin Acmed M.
155. ALLENA, Christel Marie A. 156. ALLENA, Fundador Domingo Antonio L.
161. ALMEDA, Luis Francisco T.
163. ALMERO, III, Glicerio S.
166. ALMIO, Doni June V.
168. ALMIRON, Richard Emersun L.
169. ALMOJUELA, Maria Arnida A. 170. ALO, Kyle Joseph A. 172. ALONSO, Maria Angelica R.
174. ALTAVAS, Micaela Astrud A. 175. ALTERADO, Annie Lyn Kaye B. 176. ALTEZA, III, Sergio N.
177. ALVAERA, Roque Aldrich B. 178. ALVAR, Rhoda Irene R.
180. ALVAREZ, Mary Jane A. 181. ALVARO, Charise Ann D.
183. ALVIS, Marvin Herson D.
185. AMANCIO, Ma. Gina R.
186. AMANTE, Chino Daniel L.
187. AMARO, Kristie Xyla R.
188. AMASEC, JR., Arthur B. 190. AMBAS, Charlotte Francis Marie O. 191. AMBOJIA, Reivin Jed M.
193. AMBROSIO, Kerr Monsiur G.
194. AMOGUIS, Ira Jane P.
195. AMOLO, Jerecho Joseph L.
197. AMORES, Ernesto Miguel B. 200. AMPATUAN, Lady Sha-honey A. 202. AMUASEN, Karen Lou B. 203. AMWAO, May Ann D.
204. ANARNA, Allen Kristopher A. 206. ANCHETA, Mario Hanzel L.
207. ANCIADO, Charles Joseph C.
208. ANDAL, Kristina Marie Joy B. 210. ANDALEON, Karen Gaile L.
211. ANDAYA, Dennis Karl L.
212. ANDAYA, Jewel Aurora D.
214. ANDAYA, Mikhaela Alexandra D.
220. ANDRADE, Tanya Dominique L.
222. ANDUEZA, Althea Mae A. 223. ANG, Carlo Lester T.
224. ANG, John Edward T.
225. ANG, Mary Eileen O. 226. ANGANGAN, JR., Alfrendo T.
227. ANGEL, Maud Eisel H.
228. ANGELES, Marisse Albertine C.
230. ANGELES, Rex Cris N.
231. ANGELO, Katrina Joy P.
232. ANINO, Glenn Rey D.
233. ANSALDO, Melissa Nikolai M.
235. ANTONIO, Anna Marie G.
242. APACIBLE, Alyanna Pauline C.
244. APDIAN, Mark Julius P.
247. APLASCA, Ayin Dream D.
248. APOLINARIO, II, Ricardo J. 249. APOLO, Peachy Anne C.
250. APORDO, Mark Christian B. 252. APOSTOL, Sharmy Lou R.
256. AQUINO, Janna Preciosa B. 258. AQUINO, Lawrence Paulo H.
262. AQUINO, Noreen Joyce E.
263. AQUINO, JR., Paterno S.
265. ARAMBULO, Mary Melanyn G.
266. ARANAS, Neil Jose C.
267. ARANDIA, Gil Arvin C.
268. ARANETA, Pauline Mae P.
269. ARANILLA, JR., Nicolas D.
271. ARAUCTO, Princess Claris J. 273. ARAYATA, Angelo Christian T.
274. ARAÑAS, Marlon Jerome V.
275. ARAÑAS, Nina Grace G.
276. ARAÑEZ, Moises Dave A. 277. ARCALES, Sherry Mae A. 280. ARCELLANA, Joan Jette F.
284. ARCILLA, John Mark T.
285. ARCILLA, Marianne Rose M.
286. ARCONES, Therese Lorraine Grace S.
287. ARCUENO, Aljim Denver M.
288. AREJOLA, Ma. Karen P.
289. ARELLANO, Angelo Martin B. 291. AREVALO, Stephanie Kate C.
293. ARGUELLES, Kiefer Kevin A. 294. ARIAS, Christian Bryan S.
296. ARIPAL, Mary Macrine R.
298. AROMIN, Lesley Jane B. 304. ARRANCHADO, Jimi Rambo R.
305. ARRIOLA, Carla Therese L.
307. ARTECHE, Jason Rudolf C.
308. ARTILLERO, Oscar Jose A. 314. ASIDDAO, Mila Marciana G.
318. ASSAYCO, Ivy Grail S.
320. ASTRONOMO, Christmas Joy B. 321. ASTRONOMO, Nylor Jay T.
322. ASTUDILLO, Cherry Ann B. 323. ASUNCION, Emmanuelli Marie F.
325. ASUNCION, Ramon Vicente B. 326. ATANACIO, Zinnia Farica May V.
327. ATI, Abdul Mahid M.
328. ATIE, John Arvin B. 329. ATIENZA, Edwin Giann Paul B. 330. ATIENZA, Jonathan George M.
331. ATIENZA, Nicole Marie G.
334. ATON, Jonelyn Jan B. 335. ATUTUBO, Jiorg Michael B. 336. ATUTUBO, III, Aedler Jo-lean A. 337. AURE, Benedict John C.
338. AURE, Pauleen Ann E.
339. AUSTRIA, Rebecca Rutchelle Q. 344. AVILA, II, Fermo B. 345. AVILA, JR., Charles Richard C.
346. AVILA-GONZALES, Eda Marie A. 350. AZARCON, Ayn Ruth T.
351. AZIS, Sittie Jafsah M.
352. AZORES, Jeric Anne A. 355. AZURIN, Ma. Nerissa T.
356. AZURIN-BUGHAO, Fe Angela T.
358. AÑONUEVO-LLANERA, Maria Victoria B. 360. BABAYEN-ON, Allana Mae A. 361. BACAL, Divina Gracia A. 362. BACALSO, Vernie Rose A. 363. BACALSO, JR., Valentino C.
364. BACANI, Alson Paul S.
370. BACLIG-ALLAM, Celeste Marie O. 372. BACONGCO, Jaspen John R.
373. BACSA, JR., Benigno S.
374. BACUDIO, Ansheline Mae A. 375. BACULI, Charles Washington T.
379. BADELLES, John Michael D.
380. BADILLO, Adone Bardioses M.
381. BADILLO, Maria Liavel C.
383. BAES, Jose Mari C.
384. BAETA, Lino Andrew L.
387. BAGAPORO, Dennis Edward C.
388. BAGARINAO, JR., Poe F.
389. BAGASALA, Ma. Jamine De La Paz C.
390. BAGAY, Carmila Claudette B. 393. BAGSAO, April Lily B. 394. BAGUAL, Mark Anthony F.
395. BAGUI, Princess Melody B. 397. BAGUIDUDOL, JR., Valentin G.
399. BAHIAN, Adriano, Jr. G.
400. BAHILLO, Marie Alexis G.
405. BALAJADIA, Nasreen Love Joy DG. 410. BALDERAMA, Hegel Jasper A. 411. BALDERAMA, Kevin Charles G.
413. BALDO, Jasmin Kriza B. 414. BALDONADO, Kathlyn Nadia D.
415. BALDONADO-GUILLERMO, Ma. Karen A. 418. BALICAS, Carlo Vincent G.
419. BALICDANG, Marianne Joy B. 420. BALIGOD, Carmella Grace G.
422. BALINDONG, Mohammad Bin Ali B. 424. BALITAAN, Kim Ryan M.
425. BALIWAG, Ian Mark Gari T.
428. BALT, Sittie Shahane P.
429. BALTAZAR, Dianne Abigail P.
431. BALUSDAN, Septfonette Fe D.
433. BANAAG, Maria Cristina M.
435. BANAL, Elaine Chesca C.
437. BANDOY, Dawn Hugies E.
439. BANGOY, Jon Cerlan P.
441. BANICO, Jose Mari Gerardo R.
442. BANTA, Vanesa Joyce C.
443. BANTING, Camille Jenah P.
445. BAOD, Rachelle Ann C.
446. BAQUERO, Hope Cesely H.
447. BAQUIRAN, Karl John A. 448. BAQUIRAN, Maria Angela P.
453. BAREO, Janine Rue P.
456. BARRERA, Alexis Ben O. 457. BARRION, Kirstie Dawn F.
459. BARRIOS-DE LEON, Noelle Ann E.
461. BARROA, Melvyn Carlo T.
462. BARROGA, Rachel Ericka L.
463. BARTE, Abdol Bryan L.
464. BARTOLATA, Edgar Jino M.
466. BARTOLO, Anna Lee S.
468. BARTOLOME, Rabmor Thomas T.
469. BARZA, Bernard Roy C.
470. BASA, Melissa Camille P.
471. BASCO, Mark Amadeus C.
472. BASCO, JR, Medardo M.
473. BASCONCILLO, Ian Zander G.
474. BASCOS, Gideon Luke G.
476. BASILIO, Girlie Ann T.
478. BATACAN, II, Esmeraldo H.
480. BATO, Randee Ceasar T.
481. BATOCABE, Justin Caesar Anthony D.
482. BATUCAN, Carl Philip N.
483. BAUTISTA, Anna Margarita P.
484. BAUTISTA, Anna Marie M.
485. BAUTISTA, Buenavista Mae M.
489. BAUTISTA, Johanne Monich G.
491. BAUTISTA, Maria Theresa D.
493. BAUTISTA, Rianne Mae F.
494. BAUTISTA, Richard Alpert J. 502. BAYLON, Paolo Victorio F.
507. BAÑARES, Augustus Caesar M.
508. BAÑEZ, John Elijah B. 511. BEDUA, Irish Amor V.
512. BELANDO, Arvin Dominic M.
513. BELDEROL, Daphne Dione R.
514. BELEN, Jam Charmaine M.
515. BELEN, Timothy James M.
517. BELENO, Iriz Kay Deziree B. 518. BELGIRA, Richelle Joy L.
519. BELTEJAR, Jan Robert V.
520. BELTEJAR, Vanel Andrea T.
523. BENDOY, Jessica Joy U. 524. BENJAMIN, Lou Bertini B. 525. BENOSA, Maria Emilynda Jeddahlyn Pia V.
528. BERAYE, Ma. Geobelyn L.
530. BERDAL, Joanne Juris L.
532. BERMEJO, Agatha Kristianne C.
535. BERNAL, Rv June Zoe B. 538. BERNARDINO, Ma. Victoria L.
540. BERNARDINO, Mel Frederic D.
543. BERNARDO, Nancy Faye B. 544. BERNARDO, Stefan Ellise A. 547. BERROYA, Kristine Margarette M.
548. BESINA, JR., Daniel D.
550. BICOS, I.p. Lyn C.
552. BIHIS, Kristine Jade S.
558. BINOTAPA, Thea Philline F.
559. BISNAR, Jason Anthony V.
562. BITUIN, Remy Rose Ann S.
564. BOADO, Tina Marie P.
565. BOADO, JR., Julius Caesar V.
567. BOHOLANO, Ma. Evita N.
570. BOLLOZOS, Ignatius Franc R.
572. BOMBASE, Ma. Clarissa Lavena A. 573. BONADOR-GUMIRAN, Kathleen Ann A. 574. BONGALON, Raul Angelo D.
575. BONGAS, JR., Pedro A. 576. BONGHANOY, Rei La Datsun G.
577. BONIFACIO, Alpha Grace M.
578. BORDEY, Fae Marie Y. 580. BORJA, Niel Anthony S.
581. BORJA, JR., Carlos M.
582. BORLAGDAN, Jesus Paolo V.
584. BOSE, Martin Alex R.
585. BOSE, Noel Allen R.
586. BOTOR, Cristhian Rey B. 587. BRACEROS, Jay Roger F.
589. BRIBON, Christian Benedict T.
591. BRIGOLI, Alain Jan B. 593. BRIONES, Gino Carlo R.
600. BUBAN, Karl Daniel E.
601. BUCAG, Paulene Kaye P.
602. BUCCAT-VILLAMIN, Rozzanne Victoria G.
604. BUDO, Gladys Marie S.
605. BUENAGUA, Jose Bartholomew B. 607. BUENDIA, Glen Camille G.
611. BUGAYONG, Anne Caroline C.
612. BUHAY, Juvy Anne M.
615. BULOTANO, JR., Romeo R.
618. BUMANGLAG, Candida Dorothy Swerte D.
621. BUNYI-DE LEON, Judith Marie G.
622. BURAGA, JR., Oscar D.
624. BURDEOS, Rhea Jurjette R.
625. BURRO, Ceril Lyn L.
627. BUTRON, Princess May M.
628. BUYCO, Kevin Angelo J. 630. BUYUCCAN, Percy Ruth N.
632. CAAYAO, Karen Ann D.
634. CABAL, Billie Kristel D.
635. CABALES, Moujeck Steve O. 636. CABALLERO, Rafaello Angelo R.
637. CABALLERO, JR., Arsenio E.
642. CABANILLA, Cleo Marjo C.
644. CABARON, Jose Gabriel A. 647. CABASAG, Mark Anthony C.
648. CABATINGAN, Paul Cayetano L.
649. CABATO, Ellora Kate D.
650. CABATOS, Daisy Gie T.
651. CABE, III, Adam Anthony S.
654. CABRERA, Charmaine Joy L.
655. CABRERA, Dan Yunus C.
656. CABRERA, Irish Marie V.
657. CABRERA, Mary Geanellie M.
659. CABUNAGAN, Elizabeth Dyhn A. 660. CABUNGAN, Maria Angelica A. 661. CABUSLAY, Erick John S.
663. CACHO, Charina Flor A. 664. CADENA-VILLARUZ, Retzel Amour P.
666. CADORNA, Dianne Irish A. 668. CADUGO, JR., Roben B. 670. CAGAHASTIAN, David Ricardo S.
671. CAGASCA, Rubee Ruth C.
673. CAGULA, Jane Carressa Mae T.
674. CAHOY, Moshi Ariel S.
675. CAIDOY, Harrold Glenn P.
676. CAISIDO, Michael Ray R.
678. CAJES, Nancy Jermae N.
681. CALABUNG, JR., Reynaldo R.
683. CALACHAN, Paul Allan P.
685. CALAM, Karen Mae L.
686. CALAMAYA, Romeo Dax B. 689. CALASAGSAG-CANTUBA, Ma. Strella C.
690. CALAYAN, Clara Maria Beatriz S.
691. CALAYAN-MEDINA, Sheryll Joy L.
692. CALAYCAY, Jasmine Charo L.
695. CALDERON, III, Leonardo V.
698. CALIPAY, Jane Kate S.
701. CALLANGAN, Ma. Ivana F.
702. CALLEJA, Joseph Peter J. 703. CALONGCAGON, John Patrick G.
706. CALSO, Zoiline Jennifer P.
711. CALULUT, Joseph Frederick R.
712. CALVEZ, Reinalee Susan N.
713. CALVO, Kirsten Kate F.
714. CALVO, Mario Dennis A. 715. CAMACHO, Kaycee Lyn V.
717. CAMALON, John Mark A. 718. CAMARA, Earl Andrew M.
719. CAMARAO, Mark Dave M.
721. CAMAYANG, Ma. Milagros P.
723. CAMBA, Denise Bernadine B. 724. CAMBA, Kathreen Joyce S.
725. CAMBALIZA, Jarene Eurice C.
726. CAMBRI, Maria Gicel T.
731. CAMMAYO, Mary Grace M.
732. CAMMAYO, III, Nicasio T.
735. CAMPOSAGRADO, Ma. Gerrylin S.
736. CAMPOSANO, Jose Karlo M.
738. CANADA, Lady Jade Q. 739. CANADA, Pearl Angeli Q. 742. CANONES, Dulce Jasmin A. 744. CANTOS, Joan Reina L.
745. CANTOS, Raymond Geronimo A. 746. CANTOS-JALECO, Mariene Queensie P.
747. CAPADOSA, Phillip Bernard H.
748. CAPELLAN, Clarolyn Jane A. 750. CAPONONG, JR., Samuel S.
751. CAPUCION, Jadea Ezra M.
752. CAPUTOL, Danica Patricia D.
753. CARAG, Dane Caceus Marionne M.
755. CARANAY, Victoria Alessandra C.
757. CARASIG, Ramon Gabriel K.
758. CARBERO, Therese Claire F.
759. CARBONEL, Jeff Kevin C.
760. CARBONELL, Patrick Chris DG. 761. CARDAÑO, JR., Oscar M.
762. CARDENAS, Ma. Cheryl P.
763. CARDONA, Rinna Rose G.
767. CARIÑO, Dominique Christine M.
768. CARLOS, Marie Rose C.
769. CARLOTA, Amanda Josephine T.
771. CARPIO, Reina Geeline R.
774. CARSKIT, Ven Lorenz R.
776. CARUNGUI, Billy Jim T.
781. CASAS, Kirsten Erika A. 782. CASAÑA, Shiendy Loufer D.
783. CASIANO, Mark Anthony C.
784. CASIL, Leo Angelo P.
785. CASILA, Ma. Erika Amor D.
786. CASILLA, Paul Vincent M.
787. CASIMIRO, II, Ricardo H.
789. CASIQUIN, Rica Ysabelle L.
790. CASITA, Joanna May R.
793. CASQUEJO, Ivy Anne I. 794. CASTAÑARES, Mc Aldous C.
796. CASTAÑEDA, Julie Rose G.
797. CASTAÑEDA, Niña Francia D.
798. CASTELO, Ana Isabel F.
799. CASTELO, II, Enrico Edmundo D.
800. CASTIGADOR, Rena Joy C.
801. CASTILLO, Baby Trina M.
803. CASTILLO, Emilyn Cristina M.
804. CASTILLO, Hazeille Goldamae B. 805. CASTILLO, Jeanne Marie Vernice V.
809. CASTILLO, Ma. Eloise R.
810. CASTILLO, Ma. Pamela C.
811. CASTILLO, Ma. Victoria M.
812. CASTILLO, Margarita Anne P.
815. CASTILLO, JR., Precidio A. 816. CASTILLO-ESPIRITU, Iza Marie P.
817. CASTILLON, Arnel John D.
819. CASTRICIONES, Juan Lorenzo Maria S.
820. CASTRICIONES, Miguel Ignacio Maria S.
822. CASTRO, James Marvin Earl E.
823. CASTRO, Jerome Carlo C.
824. CASTRO, Jimmy Jerard A. 825. CASTRO, Stanley Lylwyn A. 828. CATACUTAN-ESTABILLO, Maya Julieta R.
830. CATAYEN, Lovely Rose Z. 833. CATIPAY, Roselle Anne B. 834. CATLI, Fely Jane P.
836. CATUDAN, Ma. Racquel S.
839. CAWIS, Christian Faith M.
840. CAYABA, Maria Victoria B. 844. CAYETANO, Baby Marian Grace A. 845. CAYETANO, Rozen Olivia G.
846. CAYTON, Juan Paolo E.
847. CAÑEDO, Andrew Jericho P.
849. CAÑETE, II, Nemesio B. 850. CEBALLOS, Robert Joseph C.
851. CEBRIAN, Emile Justin D.
853. CELERIAN, Adhara Kaye G.
857. CEMBRANO, Aurora Luanne R.
858. CEMBRANO, Franco Aldo N.
860. CENTINA, Christian Jane D.
861. CENTINA, Lisa Jane D.
862. CERDAN, Anthony Vincent A. 865. CERTEZA, Jose Antonio A. 868. CHAN, Jamie Katrina F.
869. CHAN-GONZAGA, Ismael Jose, Iii V.
875. CHING, Catherine Anna T.
876. CHING, Marc Jonnell J. 877. CHIONG, Don Victor V.
878. CHIONGSON, Sharlene Anjelica L.
879. CHIU, Lela Joanna H.
880. CHU, Christopher Jerome P.
883. CHUA, Annie Frida K.
885. CHUA, Dawn Clarisse T.
886. CHUA, Jessamine Lynn Dale N.
888. CHUA, Kimmie Ann R.
890. CHUNGALAO, Modesta Apesa H.
893. CLAUDIO, Glino Barsen G.
894. CLAUDIO, Jan Paul S.
895. CLEDERA, Bethany Joy B. 898. CLEMENTE, Lady Mae A. 901. CLIMACO, Jan Ceasar A. 902. CLOMA, Geraldee Frances M.
903. CO, Aaron James E.
904. COCABO, Patrick Vincent G.
908. COLAGO, Faye Katherine T.
909. COLINA, Czar Augustus C.
910. COLIS, Kim Darriel P.
916. COMINES, Czarina Victoria L.
917. COMODA, Mae Lailour P.
920. CONCEPCION, Alexylle Rose G.
923. CONCEPCION-BUTAY, Dawn Lin A. 924. CONCHA, Rainier Rhett G.
931. CONTINUADO, Anna Bianca S.
932. CONVOCAR, Red Gabriel W.
935. CORDERO, Erick Michael O. 936. CORDERO, George Lyndon T.
937. CORDEZ, JR., Jaime I. 938. CORDOVA, Fatima Faye E.
940. COROMINAS, Andrea Therese Z. 942. CORONADO, Raphael Enrique V.
944. CORPUZ, Karla Mari R.
945. CORPUZ, Maria Cristina C.
948. CORTES, Angeli Victoria B. 949. CORTES, Nikkolo Marco Aurelio V.
950. CORTEZ, Ging Bee S.
951. CORTEZ, Liza Angela O. 953. COSEP, Lech Jb June S.
954. COSEP, Mary Jane T.
955. CRISOSTOMO, Mary Rose N.
957. CRISTAL, Maria Gretel I. 958. CRISTOBAL, Mely Ann Emerie A. 959. CRUZ, Aileen Charisse P.
960. CRUZ, Anafeil Marie C.
961. CRUZ, Andrelille Christian A. 962. CRUZ, Anne Margarette Justine M.
964. CRUZ, Chanine Mae P.
968. CRUZ, Franz Ivan A. 969. CRUZ, John Nowell R.
970. CRUZ, Joyce Anne R.
971. CRUZ, Karl Raymond D.
972. CRUZ, Leo Frederick Z. 973. CRUZ, Marianne Joy C.
974. CRUZ, Michael Edgardo N.
975. CRUZ, Nesley Rae P.
976. CRUZ, Patricia Ann M.
978. CRUZ-DOMINGO, Mary Annabelle F.
979. CUA, Pia Maria Barbara Mirca C.
981. CUADRAS, Cristine Clea B. 984. CUCHAPIN, Mark Vincent S.
988. CUEVAS, May Zyra V.
990. CUEVAS-CORPUZ, Rhodora Grace P.
991. CUI, Ma. Chiarra A. 992. CULAR, Coreene Ann G.
993. CULMINAS, Cherry Claire P.
997. CUPAG, Carole Jean A. 998. CURAN, Anna Marie A. 1002. CUSI, Martin Victorino S.
1003. CUSIPAG, Raymond Aljon A. 1004. CUSTODIO, Tzarine Jovanna B. 1006. CUYEGKENG, Chrysten Giann C.
1009. CYPRES, Jenny Joy C.
1011. DACANAY, Janine Prelle A. 1012. DACANAY-PAMOR, Salina Grahane A. 1015. DAGDAG, Antonio Leandro C.
1016. DAGPIN, Kamenev Kiril P.
1018. DALANGIN, Kristine Joyce A. 1019. DALIDA, Anthony Dei V.
1020. DALIDIG, Nikki Morshida M.
1021. DALUMPINES, Pamela Blanca L.
1023. DAMIAN, Flynn Strauss D.
1024. DANGILAN, Sean Michael Joseph C.
1026. DANGWA, Vina Vrenelli P.
1027. DANTES, Lorenz Fernand D.
1031. DARILAG, Roy Martin O. 1035. DATU, Al Ponciano R.
1037. DATUIN, Aimee Fay R.
1038. DATUIN, Martina Mignon G.
1039. DAVID, Mariel Josine N.
1041. DAVID, Peter Carlo P.
1042. DAVID, Philip Jeffrey D.
1043. DAVID, Rem Kristiane G.
1044. DAVID, Sheigla Nerie V.
1047. DAYAG, Julie Pearl P.
1048. DAYANDAYAN, Jannie Ann J. 1051. DAYO, Francis Raul L.
1052. DAYOG, John Edward Lee F.
1054. DE ALBAN, Rachel Hazel T.
1055. DE CASTRO, Arlene C.
1056. DE CASTRO, Michael Christopher C.
1057. DE CLARO-ARTEZA, Shela L.
1058. DE GALA, Maria Connie R.
1059. DE GRACIA, Marivic B. 1060. DE GUIA, Molee Uzworth B. 1061. DE GULAN, Jeff Marvick R.
1062. DE GUZMAN, Bien Ronald L.
1063. DE GUZMAN, Carl Louie R.
1064. DE GUZMAN, Chanell Dolor D.
1065. DE GUZMAN, Cyrus T.
1066. DE GUZMAN, Isabelle Vien S.
1067. DE GUZMAN, Joyce Dianne J. 1068. DE GUZMAN, Ma. Celine Angela K.
1069. DE GUZMAN, Myra C.
1070. DE GUZMAN, Tristan E.
1071. DE GUZMAN, Willie, Jr. P.
1072. DE GUZMAN, JR., Geronimo T.
1073. DE JESUS, Charles P.
1074. DE JESUS, Eugene L.
1075. DE JESUS, Paula Bianca F.
1076. DE LA CERNA, Erika-anne Therese D.
1077. DE LA CRUZ, Alexandria F.
1078. DE LA CRUZ, Shugen P.
1079. DE LA PAZ, Marveen B. 1080. DE LA ROSA, Jomel Noi A. 1081. DE LA ROSA, Vican Jess D.
1082. DE LARA, Sarah Mae M.
1083. DE LEMOS, Mirriam Andrea V.
1084. DE LEON, Alejandro R.
1085. DE LEON, Anna Teris M.
1087. DE LEON, Leonore Angeli B. 1088. DE LEON, Marvin C.
1089. DE LEON, Rod Rafael M.
1090. DE LIMA, Darcy Bertulfo E.
1091. DE LIMA, III, Gregorio L.
1092. DE LOS REYES, Girlie May M.
1093. DE LOS SANTOS, Naiza Mae N.
1094. DE LUNA, Amie Roxylen T.
1095. DE SILVA, Alvin R.
1096. DE TORRES, Alenz Avril P.
1097. DE VENECIA, Jacqueline T.
1098. DE VERA, Jeseth Marie Loren P.
1099. DE VERA, Ma. Cristina A. 1100. DE VEYRA, Christopher Edward M.
1101. DE VEYRA, Kenneth Spice M.
1102. DE VILLA, Sheena Mara R.
1103. DEALINO, Jose Aniceto David S.
1104. DEBARATUN-DIACAT, Sittie Hafzah R.
1105. DECANGCHON, Charles Francis F.
1106. DECHAVEZ, Alyssa Mae A. 1110. DEL CASTILLO, Jan Emmanuel F.
1111. DEL MUNDO, Erwin C.
1112. DEL MUNDO, Ronald Rae C.
1113. DEL ROSARIO, Lily Rose L.
1114. DEL ROSARIO, Ma. Jescelyn O. 1115. DEL ROSARIO, Mark V.
1116. DEL ROSARIO, Ralph Gabrielle D.
1117. DELA CRUZ, Aardan Mikhail Kutch C.
1118. DELA CRUZ, Ayagil P.
1119. DELA CRUZ, Charlz G.
1120. DELA CRUZ, Cyndy P.
1121. DELA CRUZ, Daryl A. 1122. DELA CRUZ, Erlene Luz V.
1123. DELA CRUZ, Gretchen Mari M.
1124. DELA CRUZ, Hacel Grace T.
1125. DELA CRUZ, Jamaica Kay S.
1126. DELA CRUZ, Jennah Marie C.
1127. DELA CRUZ, Jolet Paulo D.
1128. DELA CRUZ, Magnolia A. 1129. DELA CRUZ, Pearl Sharon A. 1131. DELA CRUZ-MATAMMU, Kimberley D.
1132. DELA FUENTE, Rafael Kenneth M.
1133. DELA TORRE, Ariel B. 1134. DELA TORRE-BORLA, Mae T.
1135. DELA VEGA, Alexis G.
1137. DELFIN, Philip Carlo M.
1138. DELGADO, Clayton Edgar M.
1140. DELOS REYES, Daimel D.
1141. DELOS REYES, Regine V.
1142. DELOS SANTOS, Alexandra Patricia L.
1143. DELOS SANTOS, Joseph D.
1144. DELOS SANTOS, Monaliza B. 1145. DELOS SANTOS-DY, Gretel Kelly M.
1146. DELOS TRINOS, Arnico M.
1147. DEMAYUGA, JR., Felizardo T.
1148. DENOLAN, Mary Cecile N.
1149. DEOCAMPO, JR., Felix R.
1150. DEONA, Neil Owen B. 1152. DEPASUCAT, Astrid Beryl T.
1153. DERIT, Mark Resty R.
1154. DESABILLE, Aldwin Brian C.
1155. DESTURA, Salvador Julius Caesar B. 1156. DESUASIDO, Mary Grace B. 1159. DEVEZA, Jillian Kristin A. 1162. DIAMANTE, Jack Benigno A. 1163. DIAMANTE, Nadine Christine A. 1164. DIAMZON, Veronica Jane F.
1167. DIAZ, Catherine Rose G.
1170. DIAZ, Karl Adrian O. 1171. DIAZ, Pauline Kris F.
1172. DIAZ DE RIVERA, Jon Vincent B. 1173. DIAZ, JR., Gerardo J. 1174. DIAZ, JR., Rodolfo L.
1175. DIAZ-TACASON, Rachel Kate B. 1176. DICRITAN, Mohammad Ansari B. 1179. DIEGO, Chester Lloyd C.
1181. DIEGO, III, Fidel Maximo M.
1183. DIGAUM, Lucks Mae D.
1186. DILAG, Jocel Isidro S.
1187. DILLENA, Ma. Marinela V.
1188. DIMAANO, Jonathan Paolo R.
1190. DIMACULANGAN, Jane Lancie H.
1191. DIMAGUILA, Ma. Elena G.
1192. DIMAKUTA, Jannaisa Ainee R.
1195. DIMCO, Jovelyn May C.
1197. DINAQUE, Keren Beatrice R.
1199. DINGLASAN, Edlize Rea R.
1201. DIO, JR., Marianito L.
1202. DIOLA, Kyra Kae B. 1203. DIOLA, Ma. Teresa P.
1206. DIONEN, Tara Louise A. 1207. DIOQUINO, Karla Louise S.
1208. DIOQUINO, Mark Vernon C.
1210. DISAMBURUN, Fatimah Suzzane A. 1212. DISTOR, Katrin Jessica I. 1213. DITUCALAN, Sarah Jane B. 1214. DIUMANO, Fritz Micah A. 1216. DIVINAGRACIA, Jan Virgil E.
1220. DIZON, May Maureen G.
1226. DOCTOR, Joy Lynne E.
1229. DOLDUCO-CONSTANTINO, Ma. Cassie Jean D.
1230. DOLLENTAS, JR., Oro Rabi T.
1231. DOLLETE, Ma. Vicky B. 1232. DOLO, Mark Angelo M.
1234. DOLOT, Diane Jane D.
1236. DOMANTAY, JR., Cornelio P.
1237. DOMINGO, April Joy Benezia B. 1238. DOMINGO, Daniel Junior G.
1241. DOMINGO, Hearty Lady A. 1242. DOMINGO, Joahna Paula Q. 1243. DOMINGO, Kelvin Roy L.
1244. DOMINGO, Larra Mariz C.
1251. DORONELA, Ma. Beta S.
1252. DORONILA, Petri John L.
1253. DOZA, Jose Maria D.
1254. DU-SAMPAGA, Alyssa Joyce B. 1255. DUBLADO, Jerika Joy K.
1256. DUCA, Marc Kenrich O. 1257. DUCEPEC, Daisy Margaret V.
1267. DUNUAN, Adrienne Regine S.
1269. DURAN, Mary Ann L.
1273. DY KAM, Ruth Francis A. 1274. DYSANGCO, Stephanie Maree N.
1275. EBDALIN, Xandra Yzabelle T.
1276. EBDANI, Jo Marie L.
1277. EBREO, Karmela Mirriam A. 1279. ECALNEA, Maria Cresielda S.
1281. EDANG, Rommel John G.
1282. EDIG, Lourdes Angelie O. 1286. EJAS-SALISIP, Rona Jade C.
1287. ELAMPARO, Trixie Marie Naldine M.
1288. ELERIA, Marda Karina B. 1289. ELICA, Ma. Essa S.
1292. ELIZALDE, Salvalente Thaddeus B. 1295. EMAS, Apollo Glenn C.
1296. EMBOY, Dann Marvin A. 1298. ENAD, Julie Ann M.
1299. ENCARNACION, Miguel Jaime C.
1304. ENRIQUEZ, Desiree Von D.
1308. EPISCOPE, Khristian Jeff C.
1310. ERAN, Gleim Brean U. 1314. ERISPE, Aimee Kareen J. 1315. EROJO, Tristan Romyr W.
1316. ESCABARTE, Glinys Fe B. 1318. ESCALONA, Edward Herbert S.
1319. ESCALONA, Michelle Ann M.
1320. ESCARTIN, Lv Jo T.
1323. ESCAÑO, Richmond John M.
1324. ESCOBAR, II, Hilary Romeo A. 1325. ESCOLLANTE, Pearl Christine T.
1326. ESCOTO, Nina Claire R.
1327. ESDEN, Celyne Klaire L.
1328. ESEQUE, Czarina Danielle E.
1329. ESGUERRA, Clarissa Heromina R.
1334. ESPAÑOL, Maral Angel B. 1336. ESPEJO, Julius Glenn T.
1338. ESPELETA, Maria Aleli A. 1341. ESPINA, Celeste Virma-fleur Y. 1342. ESPINA, Jacqueline Michelle S.
1345. ESPINO, Maria Cyrelle L.
1346. ESPINO, Rofel Princess E.
1347. ESPINOSA, Catherine Rae T.
1348. ESPINOSA, Edgar Raymund P.
1349. ESPINOSA, Karla Jo A. 1350. ESPIRITU, Maria Nikka N.
1351. ESPIÑA, Mae Lisette P.
1352. ESTACIO, Israel Earl Laurente C.
1353. ESTACIO, Natalie Joyce P.
1354. ESTEBAN, Danica Diane C.
1355. ESTELLA, Anna Ramona E.
1356. ESTILLORE, Regine Cecilia P.
1359. ESTOR, Doreene Lorenza P.
1361. ESTRADA, Crisanto Ambrosio Q. 1362. ESTRADA, Renard Reich N.
1363. ESTRELLA, Mohammad Muktadir A. 1364. EUBANK, Mark Wayne E.
1366. EUSALAN, Dan Drebb H.
1368. EVANGELISTA, Maria Ana A. 1369. EVANGELISTA, Maria Christine A. 1370. EVANGELISTA, Mary Joan B. 1372. EVARDONE, JR., Philip C.
1374. EVIOTA, Gail Jane M.
1375. EXCONDE, Cloe Joy B. 1387. FAJARDO, Aileen Leisha L.
1388. FAJARDO, Jake Rey M.
1389. FAJARDO, Noreena Valerie D.
1390. FALCON, Juvelin Camille C.
1391. FALGUI, Maria Mikaela Luz V.
1393. FAMA, Maria Jamyka S.
1394. FAMILLARAN, Patrick John E.
1395. FANG, Irish Mae V.
1397. FAUNE, Ma. Jonelle S.
1400. FEBLE, Karen Gail B. 1401. FEDERIZO, Nina Diana U. 1403. FELICIANO, Carlene Jean F.
1404. FELICIANO, Patrizia Ann L.
1406. FELIX, Rick Love S.
1407. FERIA, Angela Katrina K.
1409. FERNANDEZ, Alipio Vittorio Ramon D.
1413. FERNANDEZ, John Paul P.
1414. FERNANDEZ, Lean Ramon B. 1415. FERNANDEZ, Luke Mahatma R.
1416. FERNANDEZ, Maria Divina Gracia B. 1417. FERNANDEZ, Maria Lucia R.
1419. FERNANDEZ, Mikaila Ross H.
1421. FERNANDEZ, Robert Francis C.
1423. FERNANDEZ, III, Vicente L.
1425. FERNANDO, John Daniel S.
1428. FERRER, Joy Ann A. 1429. FERRER, Joy Celine B. 1431. FERRER, Ryan Mervin M.
1433. FERRERA, Von Ryan S.
1435. FERROLINO, Jet Mitchelle J. 1436. FESTIN, Anna Carolina P.
1437. FIEL, John Michael T.
1438. FIGUEROA, Maria Criselda M.
1439. FILARMEO-MARZOÑA, Angeline Chezka P.
1440. FILIPINAS, Francis Ray A. 1441. FILOTEO, Morris John M.
1442. FLANCIA, JR., Rodil S.
1443. FLORANO, Ralna Dyan T.
1445. FLORENTIN-DONATO, Rosalie Santa J. 1446. FLORES, Anna Criselda H.
1447. FLORES, Ethel Gillian D.
1448. FLORES, Jan Chester I. 1450. FLORES, Lawrence John B. 1451. FLORES, Louisse Anne P.
1452. FLORES, Luis Miguel A. 1455. FLORES, Trisha Beverly C.
1456. FLORES, III, Casiano V.
1457. FLORES, JR., Edison T.
1458. FLORES-PARADERO, Tricia Jane B. 1459. FLORIDA, Ma. Clavel E.
1462. FOPALAN, Errol John F.
1463. FORMILLEZA, Luis Voltaire D.
1464. FORONDA, Mary Ann R.
1465. FORONDA, Xyza Faye V.
1467. FORTES-LEUNG, Ma. Roselle F.
1468. FORTIFAES, Cheryl Marie R.
1469. FRAGATA, Chrysta Leena L.
1470. FRANCIA, Maria Cristina I. 1472. FRANCISCO, Diane Nicole P.
1473. FRANCISCO, Raul Ricardo F.
1475. FRANCISCO, Zaldy Von A. 1476. FRANCO, Desiree Amor J. 1477. FRANJE, Hanelli Jane A. 1478. FRESNIDO, Donna Isabelle M.
1479. FU, Georgina Annette L.
1480. FUCOY, Nicandro, Ii S.
1481. FUENTES, Elica Mariz D.
1490. GABIONZA, Miguel Angelo S.
1492. GABRIANA-REYES, Angelica Grace P.
1495. GADON, Mary Mae M.
1496. GAIRANOD, Pauline Marie R.
1497. GAITE, John Glim F.
1498. GALANG, Karla Ysabel L.
1499. GALANG, Leo Arman P.
1500. GALANG, Ma. Lorenza S.
1501. GALIAS, Ellaine Janica T.
1502. GALICIA, Leonida Marie P.
1504. GALLEGO, Mark Evan J. 1505. GALLETA, Mary Luz H.
1506. GALOS, Maria Linda G.
1507. GALURA, Victor Angelo L.
1509. GALVEZ, Ana Margarita B. 1510. GALVEZ, Dearkyle Anicee A. 1511. GALVEZ, Edgar Sean V.
1513. GALVEZ, Roy Mikhail V.
1514. GAMBOA, Frances Anne B. 1515. GAMBON, Mark Jayson M.
1516. GAMO, Gesta Riva A. 1517. GAMOSA-HOJILLA, Ma. Fe G.
1518. GAMUEDA, Judith Rowena P.
1520. GANA, Dominique Marie Akio Therese P.
1521. GANA, Erica May O. 1522. GANANCIAL, Christian Roy S.
1525. GANIR, Gilbert Augustin J. 1527. GARALDE-CHUA, Maria Margarita H.
1528. GARCELAZO, Regine Ann A. 1530. GARCIA, Aika Fore M.
1532. GARCIA, Bienvenido, Iii G.
1533. GARCIA, Dan Patrick S.
1534. GARCIA, Edelyn Anne T.
1535. GARCIA, Eleonor Dyan R.
1536. GARCIA, Ericka Jean G.
1538. GARCIA, Geraldine Rochelle G.
1539. GARCIA, Hendrick Carlo D.
1543. GARCIA, Karla Khatrina A. 1545. GARCIA, Lionel Kendrick B. 1546. GARCIA, Ma. Shiela H.
1547. GARCIA, Megan Angela B. 1548. GARCIA, Nathan Lance U. 1549. GARCIA, Sidhartha Felice Mae O. 1550. GARCIA, Vincent Joshua M.
1551. GARCIA, JR., Felicito R.
1553. GARCIANO, Christine Joyce N.
1554. GARILLO, Corinne Joie M.
1557. GASCON, Georgia Ruby B. 1560. GAVINO, Maria Linda G.
1562. GAW, Stephanie Mei L.
1563. GAWAT, Mary Quioline D.
1564. GAYETA, Niña Richa M.
1565. GELI, Cheska Marie D.
1566. GELI, Justin Roman S.
1567. GELITO, Jose Judhil F.
1569. GEMPIS, Kay Kari Ann J. 1570. GENERAL, Phyllisabelle Bethany W.
1571. GENERALAO, Jarold Rey N.
1572. GENERALE, James Ian A. 1574. GENOLOS-MONTEMAYOR, Kyrie Dea Maia T.
1576. GEOPANO, Joselle Lea R.
1577. GEORFO, Louraine May T.
1578. GEPUELA, Jose Margarito Gerardo C.
1581. GERMAN, Christian Emerson V.
1583. GEROMO, Felix Louis T.
1584. GERON, Kristine Ann W.
1585. GERONA, Cyril Joy T.
1586. GERONGA, Arvi Adan V.
1587. GERONILLA, Lynn Frances A. 1588. GESTUVEO, Camille Joy C.
1591. GIMENEZ, Katrina Dianne B. 1592. GINES, JR., Carmelo D.
1596. GO, Anne Bernadette G.
1597. GO, Carlo Miguel Romeo S.
1599. GO, Honrado Jose F.
1600. GO, Kay Beverly S.
1601. GO, Vanessa Jeniffer D.
1602. GOCO, Ma. Zoe F.
1603. GOCUAN, Russell Randall L.
1604. GODUCO, Barbara Divina P.
1606. GOMERA, Maria Luisa M.
1607. GOMES, Anna Lee K.
1608. GOMEZ, Edrich Lito G.
1610. GOMEZ, Jessa Ann Z. 1611. GOMEZ, Mary Krissein M.
1613. GONDA, Philip Romano J. 1615. GONO, Ana Maria G.
1618. GONZAGA, Lyra Mae M.
1619. GONZAGA, Patricia Joy E.
1620. GONZALES, Gemayel Kemal I. 1622. GONZALES, Jose Crisanto P.
1623. GONZALES, Maria Ivy Kristel M.
1624. GONZALES, Mariel Claire D.
1625. GONZALES, Nia Rachelle M.
1626. GONZALES, Paolo Miguel C.
1627. GONZALES, Rose Ann Joy V.
1628. GONZALES, IV, Ernanie Erwin L.
1629. GONZALES, JR., Jaime C.
1630. GONZALES-PILAR, Maria Nadia Nalinac V.
1631. GONZALEZ, Candice Dale S.
1632. GONZALEZ, Enricka Marie L.
1634. GOTAMCO, Cecile Danica C.
1635. GOTEESAN, Reeve Marlo Arturo S.
1636. GRAGEDA, Mark Novem S.
1637. GRANADA, Anna Jade L.
1641. GREGANA, Margrein Archernar M.
1645. GUANGA, Mary Grace B. 1646. GUBATAN, Keiron Jems E.
1647. GUERRERO, Juan Paulo R.
1648. GUERRERO, Jun Matthew S.
1650. GUESE-ROSALES, Cryzal Lyn B. 1652. GUEVARA, Che Mayo M.
1653. GUEVARA, Gelene Patricia S.
1657. GUIDOTE, JR., Jose Angel B. 1658. GUILLAMON, Diane Steffi T.
1660. GUILLARTE, Desserie Marie L.
1661. GUILLERMO, Beatrice Valerie S.
1662. GUILLERMO, Ellen Jane T.
1663. GUINIGUNDO, Daniel Alberto G.
1664. GUINTO, Vanessa Lou A. 1665. GUISON, Anna Dominique L.
1667. GUIYAB, Abraham Alonzo O. 1668. GULA, Maria Monica A. 1669. GULBIN, Lou Ann C.
1671. GUMABOL, Vanessa Trina Carr B. 1673. GUMAPAC, Ma. Angelica J. 1675. GUMBAN, Maria Glenie V.
1678. GUTANG, Sheree Mae S.
1679. GUTIERREZ, Andrea Jastine A. 1680. GUTIERREZ, Eric Francis C.
1681. GUTIERREZ, Rachelle Anne D.
1683. GUTIERREZ, II, Cedric T.
1687. HABANA, Gabriel Tomas M.
1688. HAGORILES, Kathrina Vanessa Y. 1691. HAUTEA, Jose Alfonso T.
1692. HAYAGAN, Jay Emmanuel A. 1693. HAYCO, Love Faith P.
1695. HENARES, Careen Alexandria J. 1696. HERMOGENES, Nikki Rose A. 1697. HERMOSISIMA, Christopher Albert C.
1699. HERNAL, Ma. Angela L.
1701. HERNANDEZ, Frauline Camille R.
1702. HERNANDEZ, Joanie Charmaine B. 1705. HERNANDEZ, Shiela May H.
1706. HERNANDEZ, Vanessa Rose S.
1707. HERRERA, Henry Joseph L.
1708. HERRERA, Norman Kelly C.
1709. HICETA, Esteele Vanessa Ann A. 1710. HIDALGO, John Paul H.
1712. HINAY, Fatima Sarpina P.
1713. HINGPES, Mark Joseph B. 1714. HIPOLITO, Melissa Jean G.
1716. HIRANG, Stephanie Anne L.
1717. HIZON, John Restie T.
1718. HOGGANG, Kathrine Mae M.
1719. HOJILLA, Kate Aubrey G.
1721. HOMBRADO-DURAN, Ana Liza P.
1723. HONCULADA, Ron Carlo I. 1724. HONG, Janine Angeli R.
1725. HUELAR, Gil Mae N.
1726. HUMIWAT, John Stephen T.
1727. HUSSIN, JR., Faizal M.
1728. IBAY, Christopher David L.
1729. ICALLA, Leo-mel Dennis B. 1731. IGNACIO, Eunice Anne C.
1733. IGNACIO, Rod Peterson B. 1734. IGNACIO, Rose Ann S.
1735. IGNALAGA, Ma. Leny C.
1736. ILAGAN, Jeffrey Louis G.
1737. ILAGAN, Katrina Joy L.
1739. ILANO, Carlo Angelito M.
1740. ILARDE, Maria Pilar Joy C.
1741. IMBANG, David Jason T.
1743. IMPERIAL, Jm Sandino C.
1746. IMPERIO, Marc Aerone Paul DP. 1747. INANDAN, Ian Jerrick B. 1748. INCISO, Bliz Desery G.
1749. INDASEN, Dexter Tonnette E.
1751. INOCENTES, Katrina Bianca T.
1752. INSERTO, Ma. Sonia V.
1753. INTING, Niña Ma. Socorro B. 1755. IRADER, Mereyll Kyla P.
1760. ISIDRO-PACUNANA, Cleofe Joy A. 1764. ITAO, Deo Vincent B. 1768. JACELA, Cirus Jansen P.
1769. JALALON, Jamila Lou P.
1770. JALIPA, Pevi Mae P.
1772. JAMERO, JR., Jacinto R.
1774. JAMONER, Winnie Claire L.
1775. JAMORA, Jose Manuel M.
1776. JANDUSAY, Crispin Francis M.
1777. JANOLINO, JR., Rey P.
1778. JAO, Stefan Andrew S.
1780. JAVELLANA, Christian Lloyd C.
1782. JAVIER, Darleen Marie T.
1783. JAVIER, Janelle Crystel J. 1784. JAVIER, Nicole Dexter P.
1785. JAVIER, JR., Loreto G.
1786. JAYME-GERALDOY, Joy Marie M.
1790. JIMENEZ, Miriam Margaret E.
1792. JIMENO, Grace Marie E.
1794. JINGCO, Maria Carmina C.
1795. JOAQUIN, Louise Jessica P.
1796. JOAQUIN, Ronn Vincent H.
1800. JORDAN, Aemie Maria S.
1802. JORNALES, Glenice Joy D.
1803. JOSE, Justin Evan A. 1804. JOSE, Leslie Ann D.
1806. JOSEF, Lea Gay M.
1809. JOVELLANOS, Edward Marc P.
1811. JOYA, Danica Janine H.
1812. JOYAS, Edwin Lawrence B. 1813. JUAN, Mark Jeffrey F.
1814. JUAN, Monika Veron R.
1815. JUANBE, Richelle Josephine B. 1816. JUANICO, Maria Corazon J. 1819. JUDILLA, Rhea Mae S.
1820. JUDIT, Tyrone John C.
1823. JURADO, Rhodora Celia R.
1826. KALAW, Ma. Rosa Vinia A. 1831. KATIGBAK, Karla Elaine L.
1832. KEITH, Charles Simon Victor E.
1833. KHAN, Stephanie Mariz C.
1834. KHIO, Alanna Gayle Ashley B. 1838. KINTANAR, Philip Tomas V.
1839. KIPLI, Akmad Khan S.
1842. KOH, Brian Rossner L.
1844. KUNG, Edward Kenneth A. 1845. KYAMKO, III, Nicolas R.
1846. LABAJO, Paola Katerina V.
1847. LABANON, Lisha Marie V.
1848. LABASAN, Kim Lauris M.
1849. LABASTIDA, Daisy Mae Luinor A. 1850. LABE, JR., Roberto V.
1852. LABRADO, JR., Jay Ronald Emil John D.
1853. LABRADORES, Billy Anjo A. 1856. LACANDAZO, Anna Barbara O. 1858. LACSON, Maria Florencia Alicia S.
1860. LADANGA, Wilfred Raphidim L.
1861. LADISLAO, Edmon Dale P.
1863. LAENO, Erose Marlo C.
1864. LAGA, John Rey J. 1869. LAGMAN, Francisco Ferdinand F.
1870. LAGMAY, Martin Alfredo Benjamin T.
1871. LAGON, Jesse Joe D.
1873. LAGUNDE, Glaiza Mae L.
1877. LAINEZ, Senen Antonio B. 1878. LAJARA, Paul Gabriel M.
1882. LAMARCA, Pola Lia Celina L.
1883. LAMBO, Bon Basil A. 1884. LAMORENA, Ma. Alyssa Jeline A. 1886. LANDRITO, Reggie Ann G.
1891. LANTIN, Stephen Chris M.
1892. LANTING, Jualie Labette Marie M.
1893. LAO, Camille Annika O. 1894. LAO, Fiona Cristy D.
1895. LAO, Perry Evan C.
1896. LAOT, Rio Angelika M.
1897. LAPAT, Allan Tomas G.
1898. LAPID, John Dx S.
1899. LAPID, Margaret Joyce R.
1901. LAPPAY, May Rose Abigail A. 1902. LARA, Peter Joseph C.
1903. LARCIA, Leo Angelo M.
1905. LARUTA, Michael Joseph B. 1906. LASALA, Frances Dolor C.
1907. LASALA, Renan Norbert C.
1908. LASAM, Gloria Anastasha T.
1909. LASAY, JR., Tirso S.
1910. LASCANO, Karell Marie G.
1913. LATOSA, Lilian Fatima D.
1915. LAUD-BEGYAN, Hazel Ivory R.
1916. LAURE-CAPILLA, Celeste Ann G.
1917. LAUREL, Dianne Elizabeth M.
1919. LAVADIA, Ayra Patria C.
1920. LAVAPIE, Kathreen Grace D.
1926. LAYUG, Gemma Lynne P.
1928. LAZARO, JR., Hermoso D.
1929. LAZO, Johnson Robert A. 1930. LAZO, Saul Paulo A. 1934. LEE, Eunice Faye S.
1937. LEE, Ma. Lucille P.
1938. LEE, Mary Kristal M.
1939. LEE, Sang Mee A. 1941. LEGARA, Luz Diane G.
1942. LEGARDA, Maryluz Regina M.
1944. LEGASPI, JR., Manuel I. 1945. LEGASPI, V, Ramon D.
1946. LEGO, Lily Ann B. 1952. LEONARDO, Jonathan Oliver L.
1953. LEONIDA, Kerwin Gerard Reynato U. 1954. LEONIDAS, Maria Karisa Joy C.
1955. LERIO, Earl Christian L.
1959. LI, Gilyen Ezra Marie L.
1960. LIAO, Mai Doloseile K.
1962. LIBAN-CANAPI, Ma. Lorely L.
1964. LIBOON, Ma. Angelica M.
1965. LIBUTAN-DUEÑAS, Cyd Kristine Daphne S.
1966. LICAROS, III, Andres L.
1967. LICUP, Shiela May R.
1969. LIKIGAN, Jaybee Lyn G.
1970. LIM, Antonette Kristie C.
1973. LIM, Evan Clark P.
1974. LIM, Francis Edward M.
1975. LIM, Jacqueline Ruth A. 1976. LIM, Jordan Andrew Q. 1977. LIM, Ma. Concepcion S.
1979. LIM, Nathalie Keiko M.
1981. LIM TAMPOS, Emmanuel A. 1983. LIMJOCO, Maria Theresa F.
1984. LIMMAYOG, Jan Michael G.
1986. LIMSON, Chastinne Mae M.
1991. LIONG, Stacy Lyn Y. 1992. LIRA, Zosimo, Jr. P.
1994. LIU, Andrew Stephen D.
1995. LIVELO, Katerina Mae G.
1997. LIWANAG, Kristine Anne D.
1999. LLAMASARES, Anna Liza L.
2001. LLANTINO, Ma. Genina B. 2003. LLARINA, Maria Elaine R.
2004. LLENO, Paola Kathlynn Q. 2005. LLOREN, Christina Marie F.
2006. LO, Louis Marshall R.
2010. LOFRANCO, Mary Stephanne A. 2011. LOMONDOT-ADIONG, Sittie Aliyyah A. 2015. LOPEZ, John Paul L.
2016. LOPEZ, Maria Lucia B. 2017. LOPEZ, Ponce Miguel D.
2019. LOPEZ, Shena Marie A. 2020. LOPEZ, Victor Rico P.
2022. LOREMAS, Connie Joyce R.
2023. LORENO, JR., Alvaro P.
2024. LORENZO, Kimberly Anne M.
2025. LOZANO, Kevin Jardine Lucky S.
2026. LOZANO, Maria Angelyn A. 2027. LUCAS, Gian Jordan R.
2028. LUCAS, Ma. Katrina F.
2031. LUCEÑA-ENCARNACION, La Salette R.
2032. LUCIANO, Noel Christian O. 2033. LUCMAN, Raihana Menelifa T.
2035. LUD-AYEN, Ma. Desiree Zan L.
2037. LUMABAS, Fatima Leoan T.
2038. LUMANGLAS, Dexter Jonas M.
2039. LUMANTAS, Jessa Faith S.
2040. LUMBATAN, Fender Rhodes B. 2041. LUMBERIO-REGALIZA, Mary Luz M.
2042. LUNA, Lester June S.
2044. LUSPIAN, Lloyd Matt Garette B. 2047. LUZANO, Melissa Faye T.
2053. MABUTAS, Jonn Carlo L.
2055. MACALALAD, Agatha Bernice G.
2056. MACALALAG, Christian Ace P.
2058. MACALINTAL, Victor Roy G.
2061. MACAPAAR, Casan, Jr. M.
2062. MACAPAGAL, Hector Mayel D.
2066. MACARAEG, III, Feliciano L.
2069. MACASA, Mary Lorraine A. 2071. MACATANGAY, Maria Theresa T.
2073. MACAYRA, Maria Lady Hope J. 2074. MACEDA, Chatti Pauline M.
2075. MACEDA, Mary Joan Dorothy Joy B. 2076. MACHADO, Jerica Clara S.
2077. MADAMBA, Euler Paul Y. 2078. MADAMBA, Jeny Anne D.
2081. MADANGUIT, Marc Gretel R.
2082. MADCHIW, Beverly Marie G.
2083. MADERAL, Divina Gracia V.
2085. MADRID, Joyce Anne O. 2086. MADRID, Melben Rey M.
2087. MADRID, JR., Rainier P.
2092. MAGALGALIT, JR., Edward C.
2095. MAGALLONES, Ma. Cristina G.
2096. MAGARDE, Andene Philip S.
2097. MAGAT, Ruth Chrissa G.
2099. MAGBOO, Khristopher Ian D.
2100. MAGBUHOS, Francis Lorenz N.
2102. MAGKASI-LUNARIA, Hanna Kathrina B. 2104. MAGLINAO, Jennevieve Jane R.
2105. MAGNO, Mark Bryan R.
2106. MAGPAYO, Erika Llyssa G.
2108. MAGRACIA, Jan Karlo S.
2111. MAGSUMBOL, Ma. Rosalynn A. 2112. MAGSUMBOL, Stephanie Ellaine B. 2114. MAGTANAO, Maria Cristina R.
2115. MAGTIBAY, Ira Miriam S.
2116. MAGTIBAY, Sahlyna Mia Edly A. 2117. MAGTOTO, Ma. Kimberly T.
2119. MAGUEN, Michelle Joan S.
2122. MAICO, Ma. Noelle A. 2123. MAING, Amir Abdulla H.
2124. MAISO, Carla Blanca S.
2127. MALABAD, Rachel Antonette C.
2132. MALAN, Marianne Therese A. 2133. MALANA, Micha Chernobyl L.
2136. MALAWANI, Armen Rashid O. 2138. MALBOG, Orpha Faith B. 2139. MALCAMPO, Rea Jane B. 2140. MALE, Zyra Mae R.
2143. MALIGAYA, Leah Anne R.
2144. MALIGAYA, Michaela Paola A. 2145. MALIGAYO, April Pauliene D.
2146. MALIGMAT, Ruby Rose R.
2147. MALLARI, Aikko Kris F.
2148. MALLARI, Francis Burt M.
2149. MALLARI, Ma. Cristina M.
2151. MALUPENG, Carla Rose R.
2153. MAMAUAG, Manolo Francis V.
2158. MANAHAN, Princez Jazzmine B. 2160. MANALO, Carmina May C.
2161. MANALO, Kristine Mae C.
2162. MANALO, Manfred Neale M.
2163. MANALO, Roanne May M.
2164. MANALO, Romina Rae R.
2166. MANANSALA, Tessa Lonica A. 2168. MANAPSAL, Ma. Lourdes Angelynne D.
2169. MANCENIDO, Ernest Paul B. 2171. MANCOL, Simeon Archie T.
2172. MANDAP, Mary Jane R.
2173. MANDIA, Laurie Jean F.
2176. MANGATA, Alyssa Nezren P.
2180. MANGRUBANG, Mary Grace D.
2183. MANICAP, Joyce Marie M.
2185. MANIPON, George Henry A. 2187. MANIQUIS, Kurt Eiyan G.
2188. MANITO, Reginald Michael C.
2189. MANIÑGAS, Marie Jean P.
2193. MANONGSONG, Katherine Jocel M.
2195. MANSUJETO, Tosca Leira Ella G.
2196. MANUALES, Eisone Brix R.
2198. MANUEL, Marlyn Christine O. 2199. MANUEL, Mary Grace O. 2200. MANUEL, William Ray B. 2203. MANZON, Bismarck Ignatius M.
2204. MAPA, Mary Grace C.
2205. MAPANAO, Joan Michelle B. 2206. MAQUILING, Gjehan Mei S.
2207. MAQUILING, Jasmine Rose B. 2208. MARAMBA, Maria Mercedes T.
2209. MARANAN, Giselle Ann P.
2210. MARASIGAN, Mary Remie Jane T.
2211. MARATAS-BACERA, Rachel Mernil O. 2212. MARAVILLA, Jose Cezar N.
2215. MARCAIDA, IV, Eduardo D.
2216. MARCELO, Anna Teresita A. 2217. MARCELO, Jerome Brian T.
2218. MARCELO, Kara Chriselle S.
2219. MARCELO, Ludy Rose D.
2220. MARCELO, Mark Joseph E.
2221. MARCERA, Alfons Janssen P.
2225. MARFIL, Jude Amadeus R.
2226. MARGALLO, JR., Antonio A. 2230. MARIANO, Gerard Peter C.
2231. MARIANO, Patricia Luz M.
2232. MARIANO, Rechille Ann A. 2233. MARIBAO, Rizzi Angelica V.
2234. MARIGONDON, Mary Ann B. 2235. MARIN, Jose Carlos P.
2236. MARISTELA, Jezreel Kiel M.
2237. MARMETO, James Oscar R.
2238. MARONILLA, Atom James C.
2241. MARQUEZ, Allan Peter C.
2242. MARQUEZ, April Gwen T.
2243. MARQUEZ, Claudia Susan A. 2244. MARQUEZ, Hannah Camille A. 2245. MARQUEZ, Jowee Ann D.
2247. MARTEL, Carlo Martin D.
2248. MARTIL, Yussif Don Justin F.
2249. MARTINEZ, Airos Kent P.
2250. MARTINEZ, Ambrosio Maria M.
2251. MARTINEZ, Anna Clarice L.
2252. MARTINEZ, Anna Queen Gloria A. 2253. MARTINEZ, Czarina Cherizze C.
2255. MARTINEZ, Gary Louie D.
2259. MARTINEZ, Sheila May M.
2260. MARTINEZ, Wilfred Francis B. 2262. MARTINEZ-LACSAMANA, Krizzy Gayle C.
2264. MARU, Alyssa Rei L.
2265. MARUHOM, Ebno Abdul Majid C.
2267. MARZAN, Marey Beth D.
2269. MASAGA, Winfred Gerard E.
2270. MASAHUD, Mariam Genevieve A. 2273. MASANGKAY, JR., Bernardo A. 2274. MASAOY, Glaiza Mae G.
2275. MASCARDO, Joyce Anne V.
2276. MATA, Aldo Rex C.
2277. MATA, Melo Jean G.
2281. MATIAS, Michael Roman E.
2284. MATILLANO, Maria Victoria Z. 2285. MATIONG, Mary Beatrice M.
2287. MAUNAHAN, John Wendell G.
2288. MAYLON, Ron Stephane P.
2291. MAZO, Edward Jude S.
2292. MAÑALAC, Rizza Mariz P.
2293. MAÑGASER-YMSON, Adelma Faye S.
2294. MEDINA, Abbie Shenn T.
2295. MEDINA, Charm Krizia L.
2296. MEDINA, John Angelo S.
2297. MEDINA, John Matthew R.
2298. MEDINA, Reychelle May B. 2299. MEDINA-CABUTIHAN, Ma. Richam A. 2300. MEDRANO, Pamela Bianca C.
2301. MEJIA, Angela Mericci G.
2303. MEJILLANO, Miguelle Kassandra S.
2304. MEJORADA, Leo Nicanor B. 2305. MELCHOR, JR., Rodrigo E.
2306. MELICOR, Joreyna Mae T.
2307. MELOSANTOS, Andrea Beatrice D.
2308. MEMPIN, Van Oliver V.
2309. MENDAME, JR., Edwin N.
2310. MENDIOLA, Anne Bernadette A. 2311. MENDOZA, Agnes Bianca L.
2312. MENDOZA, Aldrick Daven M.
2316. MENDOZA, Gio Carlo C.
2318. MENDOZA, John Kenner M.
2319. MENDOZA, Kristal Jane D.
2320. MENDOZA, Ma. Josefina E.
2321. MENDOZA, Maria Monica Pamela I. 2322. MENDOZA, Meldrick John M.
2324. MENDOZA, Rey Marco B. 2327. MENDOZA, Salud Katrina D.
2328. MENDOZA, III, Ambrosio S.
2329. MENDOZA, JR., Edgar Carlos G.
2331. MENGOTE, Pemari Kresta K.
2332. MENGUITO, Christopher John C.
2333. MENTINO, Ruwila Anne Marie M.
2334. MERAÑEZ, Marie Jean B. 2335. MERCADO, Carlo Marco Q. 2336. MERCADO, Christopher Dann C.
2337. MERCADO, Enrique Miguel Y. 2338. MERCADO, Generson Paul H.
2339. MERCADO, Raymond Joseph V.
2340. MERCED, III, Cecilio E.
2344. MERZA, Katherine Rose T.
2346. METRAN, Jean Mae B. 2347. MIBOLOS, Thomas Joseph L.
2348. MIER, Sigrid Kim G.
2351. MIJARES, Joy Pauline G.
2352. MILANA, Ceril Johnson A. 2354. MILLAN, Maria Ruffa V.
2355. MILO, Mary Rose N.
2357. MINA, Lydia Marie Zyrah MZ. 2359. MINDALANO, Anna Farinah B. 2360. MINGUEZ, Neal Chester V.
2362. MIRANDA, Rachelle Anne J. 2367. MODINA, Kara Jo Aiza R.
2368. MOELLER, Julius Oliver P.
2372. MOJICA, Ma. Cristina R.
2373. MOLAVE, Kenneth Peter D.
2374. MOLEÑO, Aishettea Ace P.
2376. MOLINTAS, Jose Mari O. 2380. MOMONGAN, Anne Margaret E.
2381. MONDAY, Lyndon Evans P.
2382. MONDRAGON, Mary Gretchen S.
2384. MONGE, Ernest Ryan I. 2385. MONSANTO, JR., Cleto E.
2386. MONSERATE, Leobelle May P.
2388. MONTECLAR, JR., Ezem Manuelito G.
2390. MONTEJO, Sheena Mae B. 2392. MONTERONA, Iris Lenore B. 2394. MONTEVIRGEN, Jay Rayniel P.
2396. MONTEZA, Shermin Mae C.
2397. MONZON, Chynah Marie M.
2398. MORA, JR., Remegio D.
2399. MORADA, Jerome Vincent C.
2403. MORALES, Janneil Monica C.
2404. MORALES, Julia Marie S.
2405. MORALES, Sheena Marie T.
2406. MORALES, Viktor Ivan Nicolo T.
2407. MORAN-VIDAL, Rosalisa Liboria C.
2412. MORES, Kent Davies B. 2413. MORILLA, Justin Ryan D.
2414. MORO, Carlo Luis C.
2418. MUGAS, Vi Marie N.
2424. MUPAS, Jessica Lyn T.
2425. MURILLO, Maria Fe Gloria B. 2426. MUSA, Bai Alefha Hannah M.
2428. MUSNI, Merwen Wretzel Q. 2429. MUSNI, YR., Beverly Ann S.
2436. NAMINGIT, Presley John L.
2438. NANGCAS, Jeddah May C.
2439. NANIT, John Paul Z. 2440. NAPIGQUIT, John Winston B. 2441. NAPIZA, Rootbeer Marie C.
2442. NAPULAN, Jonica Rei A. 2443. NARAG, Aurelle Dominic E.
2444. NASAYAO, Kathreen Ciela A. 2445. NATANAUAN, Divina Rosa H.
2452. NAVAL, Maria Mykeana C.
2453. NAVALES, Michael Duane D.
2454. NAVAREZ, Cid Jerome O. 2455. NAVARRA, JR., Geoffrey P.
2458. NAVIDAD, Carence Janelle C.
2463. NEM SINGH, Kyle Jorrel A. 2464. NEMIS, Kristina Jane G.
2465. NEREZ, Paul Joseph L.
2467. NG SY, Ma. Katrina Cassandra F.
2470. NGO, John Timothy L.
2471. NGO, Perpetua Calliope C.
2473. NIFRAS, Ma. Cristina Filomena G.
2474. NIOG, Ma. Florenz L.
2475. NOA, Monique Camille Z. 2477. NOCON, Audrey Rose S.
2478. NOEL, III, Federico Felipe G.
2479. NOGRA, Vincent Von A. 2480. NOVICIO, Felix Leonard S.
2484. NUQUI, Alyssa Hannah R.
2486. NUÑEZ, Michael Trance Joseph M.
2488. OASAY, Mary Jane Y. 2489. OBA, Masami Yrvin B. 2491. OBEDO, Krisven Mae R.
2492. OBENZA, Sean Kristoffer H.
2494. OBESO, Karren Mae T.
2495. OCAMPO, Alex Matthew U. 2497. OCAMPO, Christopher Estelito A. 2499. OCAMPO, Glenn Albert M.
2500. OCAMPO, II, Milagros S.
2502. OCBINA, Jesus Reagan O. 2504. OCHARON, Ma. Corazon P.
2505. OCHOA, Kara Czarina B. 2507. ODAK, Kenneth Ray A. 2512. OGATIS, Victoria Flor P.
2514. OLADO, Russel Marvin G.
2515. OLAGUER, Denise Alexandra P.
2516. OLAYA, JR., Isidro T.
2517. OLAYTA, Jester Kutch A. 2518. OLEDAN, Kym Ashley A. 2521. OLIVA, Maria Cecilia Y. 2522. OLIVAR, JR., Jesus P.
2524. OLIVEROS, Alvan Stephenson G.
2525. OLUT, Mary Joy P.
2528. OMEGA, Donald Dwight A. 2531. ONG, David Bryan T.
2533. ONG, Gregory, Ii L.
2534. ONG, Rey Benedict D.
2536. ONG LOPEZ, Jobelle Lynn C.
2537. ONGCANGCO, Kristine Claire E.
2539. ONQUIT, Michael Eric S.
2543. OPERIANO, Gideon Joseph B. 2544. OPLE, Lester Nazarene V.
2546. ORALLO, Kenneth Aldrin M.
2547. ORAS, Phylian Corazon W.
2549. ORBINA, Mcgyver Gerard S.
2551. ORIA, Jilliane Joy M.
2554. ORQUILLAS, Jan Elson G.
2555. ORTALEZA, Roxan Desiree T.
2556. ORTEGA, Clare Marie F.
2558. ORTEGA, Gretchen Mae B. 2559. ORTIGAS, Eric Volter A. 2560. ORTILANO-CAJILO, April Joy A. 2562. ORTIZ, Laurence Susan P.
2563. ORTIZ, Lawrence Gerard T.
2564. ORTIZ, Pamela Luz I. 2569. OSTERIA, Ma. Clarisse S.
2570. OSTREA, Michael Jan B. 2571. OTAZA, JR., Potenciano Bob Q. 2572. OTERO, Christine Angeli C.
2573. OTERO, Jann Roby R.
2575. OZAETA, Glenda Vi L.
2576. OZOA, Manuel Zosimo M.
2579. PABAYA, Pauline Khalil R.
2581. PABLO, Jasmine Joy C.
2582. PABLO, JR., Henry C.
2583. PABLO-SANTOS, Cherry Lynn C.
2588. PACHORO, Jose Gabriel B. 2590. PACUBAS, Michelle Ann D.
2594. PADERNA, Norita Korina P.
2595. PADERNAL, Herman Jae Ii C.
2596. PADIERNOS, Jan Rurik D.
2598. PADILLA, Pia Zandrina T.
2599. PADILLA, III, Rustico D.
2601. PADUA, Donna Mae H.
2602. PADUADA, Darius Francis M.
2603. PAEZ, Rhoebe Christie V.
2604. PAG-ONG, JR., Victoriano E.
2605. PAGADDUT, JR., Santiago L.
2607. PAGAPONG, Ceasar, Jr. G.
2608. PAGARIGAN, Melissa Dominique B. 2609. PAGARIGAN, Stacy Anne V.
2610. PAGDANGANAN, Carlos Lorenzo B. 2612. PAGDILAO, Samuelito Nani P.
2613. PAGKALINAWAN, Rea Loise G.
2615. PAGTAILAN, Argylle Pizzazz C.
2617. PAGUIA, Ralph Jepherson C.
2618. PAGUIO, Antonio Rafael U. 2620. PAGUIO, Kristine Joy B. 2621. PAGUIRIGAN, Mary Gladys R.
2623. PAJA, Elywill Mary Z. 2624. PAJARES, Rafael Greggorre T.
2626. PALACPAC, Kathrina Jane H.
2627. PALANCA, Feligene Rae A. 2628. PALANGDAO, Lean Andrew L.
2629. PALATINO, Kerwin Arnold Mawie C.
2631. PALEJO, Crizzie Mae A. 2634. PALINES, Rona Francia L.
2635. PALIS, Lynn Margarita O. 2637. PALMARES, Kristian Angelo P.
2639. PALOGAN, Rainier Mar G.
2640. PALOMIQUE, III, Ernesto C.
2641. PALOMO, Ma. Roscelin H.
2642. PALOS, Maria Danessa P.
2644. PAMIS, Edgar Allan L.
2646. PAMPLONA, Joseph William S.
2648. PANDAPATAN, Haroun Al-rashid A. 2649. PANGALANGAN, Raphael Lorenzo A. 2650. PANGAN, Katrina Bianca V.
2651. PANGANDAMAN, JR., Palayogan P.
2653. PANGANIBAN, Jiandra Carmela P.
2656. PANGANIBAN, Rommel Carlo C.
2658. PANGILINAN, Francis Paolo M.
2659. PANGILINAN, Lady Anne M.
2662. PANONCILLO, John Francis M.
2663. PANOPIO, Aldrin Lincoln P.
2665. PANTALEON, Thomas Vincent O. 2667. PANTOJA-DELA FUENTE, Maria Donna P.
2668. PANUNCIO, JR., Yulo Vincent B. 2670. PAPANDAYAN-GARANGAN, Sittie Sharmaine M.
2674. PARADO, JR., Casimero C.
2675. PARADO, JR., Teddy F.
2677. PARAS-GADDI, Reylyn Grace T.
2679. PARCE, Vienna Olga G.
2680. PARCON, Frances Grace V.
2684. PAREJA, Paola Louise I. 2686. PARILLA, Dave Edward V.
2689. PARONDA, Aubrey Mae M.
2690. PARREÑAS, JR., Ray D.
2691. PARREÑO, Mary Frances H.
2692. PARRUCHO, Bryan Carlo B. 2693. PARUÑGAO, Paulina Maria B. 2694. PASAJOL, Karla Kirstin C.
2696. PASAMBA, Ronald Anthony C.
2697. PASANA, Maria Cecilia J. 2702. PASCUA, Priscilla Elizel M.
2703. PASCUAL, Antoni Pauline P.
2706. PASCUAL, Prexylee Khrisna L.
2707. PASCUAL, Robie Charles D.
2712. PASTORES, Cherie May D.
2713. PATAJO, Maureen Kay E.
2715. PATINGAN, Khenzie Chowaley K.
2718. PATULOT, Jerraemie Nikka C.
2719. PAULINO, Chairmaine Jacqueline I. 2720. PAWID, Mivez Anne I. 2721. PAYOPANIN, Angeline Chiska E.
2722. PAYTE, Lianne Gaille R.
2723. PAZ, JR., Roger R.
2724. PE, II, Albet Salvador R.
2728. PEDRO, Mae Jean A. 2729. PEDROSO, Dianne Jhoy M.
2730. PELAEZ, Diarlie Pebe B. 2731. PELARE, Gerard Ace J. 2733. PELAYO, Cyril Rufino C.
2740. PERALTA, Anna Marie C.
2742. PEREZ, Debbie Rona C.
2745. PEREZ, Janet Viviana O. 2747. PEREZ, Jo-anne Geneive D.
2748. PEREZ, Katerina Bianca C.
2750. PEREZ, Mary Jane C.
2754. PEREZ, Von Raniel T.
2755. PERIAS, Christine Joy Marie A. 2756. PERNATO, Ryan John J. 2757. PERNES, Hanna Jane B. 2758. PERNITEZ, Jackelyn Joy B. 2759. PERRAL, Mark Dale Diamond P.
2761. PEÑA, Ma. Carmela Francia T.
2763. PEÑAMANTE, Laurice Claire C.
2767. PIANO, Drazen Borg M.
2768. PIAS, Thea Marie S.
2770. PIEDRA, Angelo Francisco B. 2771. PIEZAS, Riva Marie C.
2775. PIMENTEL, May Abigail F.
2776. PIMPING, Mohamad Fahdel S.
2784. PINTO, Karen Cate I. 2785. PINTO-TADEO, Glaiza Bernadeth P.
2786. PIZA, Shariz Mae V.
2787. PIÑERA, Eilleen Abigail L.
2789. PIÑOL, Bernice Joana L.
2790. PIÑOL, Efren, Jr. L.
2791. PLATEROS, Jovanni Christian D.
2792. PLAZA, Karen Mae Victoria L.
2796. PO, Leslie Ann L.
2797. POBLADOR, Carlos Viktor O. 2798. POBLETE, Mae Jonabelle B. 2799. POLICARPIO, Jericho Carlo S.
2800. POLINAR, Lowell James D.
2801. POLLOSO, Paul Romeo B. 2803. PONCE DE LEON, Mary Catherine P.
2805. PORMANES, Stefhanie Khristine T.
2806. PORNILLOS, Ansis Reyhan Victor V.
2807. PORRAS, Bethyl Joy P.
2810. PORTUS-DEMATA, Irma Ruth B. 2811. POSADAS, Gerard Franco Q. 2813. PRAILE, Edgar, Ii E.
2814. PRECIA, Joselene Joyce H.
2817. PROFUGO, Lyra Carissa M.
2818. PRUDENCIO, Oliver Isabelo D.
2819. PUACHE, Iana Matea F.
2820. PUBLICO, Joan Krystal T.
2821. PUBLICO, Loveli Anne B. 2822. PUGON-PEREZ, April Dream M.
2824. PULIDO, Bernard Vincent C.
2825. PULUMBARIT, JR., Felizardo N.
2826. PUNO, Renato Santiago S.
2830. PUTI, Mary Elizabeth S.
2832. PUYAT, Gil Carlos R.
2833. PUZON, Anna Benjieline R.
2835. QUEIPO, Cherry Ann S.
2836. QUERUBIN, JR., Leonardo B. 2837. QUIAMBAO, Laurie Christine P.
2838. QUIBO, Gavino, Jr. M.
2839. QUIBOD, Jamica Claire T.
2840. QUIBOD, Teffanie Marie N.
2841. QUIBUYEN, Kristelle Joy Ann B. 2842. QUIDET-GONZALES, Maria Clarisa B. 2844. QUILAB, Miguel Ruperto Rico D.
2845. QUINAGON, Mc Dobet P.
2846. QUINDARA, Rio Jean A. 2847. QUINDARA-LIMOSO, Michelle Geils E.
2855. RABANES, Fil Ame G.
2856. RABARA, Mario Jayson R.
2858. RADA, Wilma Elizabeth A. 2859. RADAZA, William Joseph Z. 2860. RADOC, Raiza Alexis D.
2862. RAGAZA, Jan Marcel V.
2863. RAGAZA, Merceidez Louise S.
2864. RAGODON, Cherry Jane R.
2865. RAGRAGIO, Juan Gregorio M.
2867. RAGSAC, Manny Jay R.
2870. RAGUINDIN-DE LEOZ, Ivy-lynn M.
2871. RAMILO, Maria Irenea C.
2872. RAMIREZ, Carren Jean V.
2874. RAMIREZ, John Jeffrey L.
2875. RAMIREZ, Nereo Julius A. 2876. RAMIREZ, Raemarie Patricia P.
2878. RAMONEDA, Love Char B. 2879. RAMOS, Alexis John S.
2881. RAMOS, Eizel Reinelle A. 2882. RAMOS, Erine Anne C.
2885. RAMOS, John Paul V.
2886. RAMOS, John Robin G.
2888. RAMOS, Maria Perpetua Danisa D.
2890. RAMOS, Mark Jefferson C.
2891. RAMOS, Mary Queen A. 2892. RAMOS, Rhealeth Krizelle D.
2893. RAMOS, Shyla Joy C.
2897. RAVELO, Ma. Elena Teresa E.
2899. RAYOS DEL SOL, Bettina Jean E.
2900. RAZON, Candice Zennia R.
2902. RAÑESES, Roberto Miguel O. 2904. REALEZA, Ma. Frances Joanna E.
2905. REBADULLA, Ashley Eve C.
2906. REBATO, Mar Francis V.
2907. REBOLLEDO, Derick James S.
2908. REBULDELA, JR., Francisco B. 2909. RECENO, Pia Mitzi P.
2910. RECENTES, Phillip Don G.
2912. RECTO, Gayle Angeli M.
2913. RECTO, Mara Kristina O. 2914. REDONDO, Krizia Marie M.
2915. REFUERZO, Mirriam Kristine R.
2916. REFUGIO, Carrie Nizva G.
2919. REGUDO, Marion Thursday A. 2920. REINTAR, Karl Sigfrey Z. 2921. REJUSO, Jovelle Carmel E.
2922. RELATIVO, Joshua Bryan D.
2924. RELOJO, Kristine Mae D.
2925. REMO, Gianina Mae C.
2926. REMO, Vonn Alexis V.
2927. RENDAL, Ma. Regina N.
2928. RENGEL, Pimhee Aidel D.
2929. REOPTA, Laila Aurora A. 2932. REPELENTE, Marie Grace P.
2933. RESMA, Jose Cris G.
2935. RESURRECCION, Efren, Ii R.
2936. RETA, Marionne Josephas M.
2937. REVILLA, Ma. Katrina M.
2939. REY, JR., Rolando L.
2940. REYES, Antonio Gabriel L.
2941. REYES, Carrie-anne Shaleen Carlyle S.
2942. REYES, Deanne Marie M.
2944. REYES, Gerardo Gabriel C.
2946. REYES, Jennifer Arlene J. 2947. REYES, Jerome Abraham M.
2948. REYES, Julian Roman J. 2949. REYES, Kris Mary Francesca R.
2951. REYES, Nasha Jemimah R.
2952. REYES, Rica Kathrine F.
2954. REYES, Shiela Marie G.
2955. REYES, Vladimir Mikail C.
2956. REYES, Vladimir Viktor S.
2957. REYES, II, Lorenzo A. 2958. REYNES, Antonio Bonifacio C.
2959. RIBO, JR., Ricardo M.
2960. RICABLANCA, Sonny Jose M.
2961. RICAFORT, Francis Dreyfus R.
2963. RICALDE, Joseph Thomas R.
2964. RICASIO, Francis Nealle E.
2967. RIGUER, Mary Grace L.
2969. RIO, Leyson Bert L.
2970. RIOFLORIDO, Lea Angelica R.
2971. RIOS, JR., Maxencio A. 2977. RIVERA, Joseph Isaiah F.
2978. RIVERA, Maria Katrina D.
2979. RIVERA, JR., Jose C.
2981. RIVERO, JR., Edmundo B. 2982. RIZADA, Rochelle Andrea B. 2983. RIZON, JR., Mario S.
2984. ROBEL, Norberto, Jr. B. 2985. ROBLES, Amelie Rose R.
2986. ROCHA, Lenie Rocel E.
2990. RODRIGO, JR., Sotero A. 2991. RODRIGUEZ, Flevie Joie S.
2993. RODRIGUEZ, Reynold Anthony Marc S.
2994. RODRIGUEZ, II, Manuel A. 2995. ROJANO, Queennie Anne F.
2996. ROJO, Edlice Grace U. 2997. ROLE, Lovelle Marie B. 2999. ROMAN, Carlo Augustine A. 3000. ROMAN, Erika Anne F.
3003. RONDON, Dence Cris L.
3005. ROQUE, Jhoana Candy B. 3006. ROQUE, Kim Marie M.
3007. RORALDO, Anne Katrina Marie C.
3008. ROSAL, Christopher Ryan P.
3009. ROSAL, Ma. Clarissa M.
3010. ROSALES, Marie Rose M.
3013. ROSAPAPAN, Josephine Mae R.
3014. ROSARIO, David Robert Jacinto, Iii K.
3016. ROSARIO, Miguel Angelo C.
3017. ROSETE, Myrie Ellennel I. 3020. ROSOS, Rona Blanca A. 3023. ROXAS, Carla Nikasia V.
3024. ROXAS, Ma. Katrina S.
3025. ROXAS, Marc Vinzon M.
3028. RUARO, Gabriel Francisco D.
3029. RUBI, Myra Celeste A. 3032. RUDINAS, Samuel Ryan C.
3033. RUGAY, Ina Carme T.
3034. RUIZ, Anne Lucille B. 3035. RUIZ, Erika Joy S.
3036. RUIZ, Renz Jeffrey A. 3039. SABAS, Mary Raquel Bernadine D.
3040. SABATE, Faye Marie M.
3043. SACAY, Arl Ruth B. 3044. SADANG, Mariel Cristina B. 3045. SADIWA, Ayce Ann J. 3048. SADURAL, Jean Aubree Ruby T.
3050. SAGARAL, Rino Geronimo J. 3051. SAGGA, Liezel Mae S.
3054. SAGSAGO, Marjoree Anne S.
3055. SAGUCIO, Karen Gina A. 3056. SAGUID, JR., Benjamin D.
3059. SAIPUDIN, Shine Novel L.
3065. SALAZAR, Arnold Judd P.
3066. SALAZAR, Joel Vincent D.
3067. SALAZAR, Karen Rose D.
3068. SALAZAR, Peggy Rose F.
3069. SALCEDO, Edter Paul A. 3070. SALCEDO, Elcid Jules C.
3073. SALCEDO, Pierre Valfort V.
3074. SALENDAB, Jason Shaheer H.
3077. SALES, Denise Anne V.
3082. SALILI, Julie Anprilyn R.
3083. SALINAS, Menchie Ann S.
3087. SALISE, Hector Christopher Jr. M.
3088. SALONGA, Ren Alvaro R.
3090. SALVADOR, Bianca Camille B. 3091. SALVADOR, Maria Ilsea W.
3093. SALVADOR, Ruth Sybil A. 3096. SALVILLA, Dionne Glenn M.
3097. SAMIA, Michael James D.
3098. SAMONTE, David Lawrenz Oliver J. 3101. SAMPANG, JR., Anacleto S.
3104. SAMUELA, Samuel Adams C.
3105. SAN ANDRES, Ghyslaine D.
3106. SAN ANDRES, Robert Ian P.
3107. SAN DIEGO, Dennis D.
3108. SAN DIEGO-HERIA, Purita Monica Ann A. 3109. SAN JOSE, Jamille R.
3110. SAN JOSE, Rica Pauline B. 3111. SAN LUIS, Tj A. 3112. SAN PEDRO, Lei Azenith R.
3113. SAN PEDRO-LADIGNON, Ma. Crisadel P.
3114. SAN PEDRO-TABIOS, Ruth Kristine A. 3116. SANCHEZ, Anthony Jay N.
3117. SANCHEZ, Don Nico G.
3118. SANCHEZ, Frances Emily J. 3119. SANCHEZ, Jennievee May M.
3122. SANCHEZ, Reina Rica C.
3126. SANDOVAL, Mae Anne O. 3127. SANDOVAL, Merta Gracilla C.
3128. SANGALANG, Levie May M.
3131. SANIDAD, II, Pablo F.
3134. SANSARONA, Dayang Akirah L.
3135. SANTANDER, Ryan Mark G.
3136. SANTELLA, Lawrence Mari C.
3138. SANTIAGO, Diego Luis S.
3140. SANTIAGO, Fay Frances R.
3141. SANTIAGO, Ferdino Logie S.
3142. SANTIAGO, Janry Niño T.
3147. SANTIAGO, JR., Rigoberto S.
3150. SANTOS, Anna Marie L.
3151. SANTOS, Arnold Jansen V.
3152. SANTOS, Fredric Anthony E.
3153. SANTOS, Hans Cedric I. 3154. SANTOS, Jamie Alexandria M.
3155. SANTOS, Jannah Alline D.
3157. SANTOS, Jesse Mari F.
3159. SANTOS, John Boitte C.
3160. SANTOS, Justine Dawn G.
3162. SANTOS, Maria Cielito R.
3163. SANTOS, Maria Edmee L.
3164. SANTOS, Marian Kris B. 3167. SANTOS, Rafael Lorenz S.
3168. SANTOS, Reina Consorcia M.
3170. SANTOS, Roxanne Viel C.
3171. SANTOS, Ruz Lawrence A. 3173. SANTOS, Ysabel Kathryn M.
3174. SANTOS, II, Leandro A. 3176. SAPORAS, Khey Melanverg L.
3178. SARABIA, Frangelin Dianne L.
3181. SARIP, Sittie Aiynna P.
3182. SARMIENTO, Aylene Marie C.
3183. SARMIENTO, Eddon Jose A. 3185. SARMIENTO, Mary Joan B. 3186. SARMIENTO, May Anne R.
3187. SARMIENTO, Sarah Liliana Z. 3188. SARMIENTO, Sylvia Patricia DC. 3191. SAULOG, Juan Carlo Raphael P.
3194. SAYSON, Gerlyn Mae C.
3195. SAYSON, Regine Beth T.
3197. SEBASTIAN, Omar Loui M.
3198. SEBRIO, Andrew Nico L.
3200. SELMA, Zachary Walter Mari Z. 3201. SEMBLANTE, Sarah Jane O. 3209. SERENIÑA, Pauline Mae S.
3212. SERRANO, Leonid Lee C.
3213. SERVAÑEZ, Niño Kjell F.
3215. SERVITO, Alma Marie E.
3216. SESTOSO, Ruth Abigail C.
3219. SEVILLA, Janzen Joseph G.
3220. SEVILLA, Ma. Victoria C.
3221. SEVILLA, Mary Grace E.
3223. SEVILLANO, Charlotte Lenore M.
3224. SEÑADO, Carla Rosario DL. 3226. SHARMA, Guata Mela D.
3227. SIA, Arden Kim B. 3228. SIA, Beatriz Carmelo R.
3229. SIA, Jon Mari Z. 3230. SIAN, Shereen Olivia A. 3232. SIAO, Maria Teresa P.
3236. SIGUA, Denise Marie L.
3237. SIGUAN, Ruby Mae B. 3238. SIGUI-BACANI, Ann Monet M.
3241. SILVA, Chris Ian M.
3243. SIMEON, Armie Lyn G.
3246. SINET, Heddee Zza T.
3247. SINGA, JR., Victor B. 3249. SINGSON, Ericka Raye B. 3250. SINGSON, Ma. Nina Kleighna G.
3251. SINGSON-DELA CRUZ, Noelle Joanna M.
3252. SINON, Francis Xavier S.
3253. SIOCHI, Paul Vincent P.
3255. SIOSON, JR., Arturo L.
3256. SISON, Anne Monica A. 3257. SISON, Joan Kathleene E.
3258. SISON, Kristine Dinar C.
3260. SISON, Uly Solon S.
3261. SITON, George David D.
3262. SITON, Marie Fe B. 3265. SOLA, Yvete Marie I. 3267. SOLIDARIOS, Roxanne Joy B. 3268. SOLIMAN, Miguel Paolo DR.
3269. SOLIS, Lawrence Emmanuel C.
3270. SOLLER, Allan Carlo H.
3271. SOLOMON, Sundae Nathaniel M.
3272. SOLON, Roger Benjamin D.
3274. SOMEJO, Theodore Renz D.
3275. SOMERA, Diana Ann E.
3277. SONGCUYA, II, Emmanuel Eumir F.
3278. SONTILLANO, Rey Arthur C.
3279. SOON, Miles Vincent U. 3283. SORIANO, Renie Jay A. 3285. SORIANO, JR., Cesar Nickolai F.
3286. SORNITO, JR., Fermin P.
3288. SORO, Von Kaiser, Jr. M.
3290. SORRONDA, Niña May T.
3294. SOTTO, Mikhaella Rhonellinne P.
3295. SOUZA, Maria Franchesca Yvette Y. 3296. STA. AGUEDA, Casleen G.
3297. STA. ANA-MOLAER, Cheryl Lynn S.
3298. STA. MARIA, Iris Jiana A. 3299. STA. MARIA, Shalako R.
3300. SUAREZ, Marie Cris V.
3304. SUCGANG, IV, Reynaldo Ross D.
3305. SUCOR, Princess Roxanne L.
3307. SULIT, Sarah Lou E.
3308. SUMALABE, Marilaine Agnes Pinky A. 3310. SUMILE, Laila Mae L.
3311. SUNGA, John Mark F.
3312. SUNICO, Ma. Corazon S.
3313. SUPAPO, Rebekah Eunice O. 3315. SURTIDA, Lara Faye P.
3317. SUZUKI, Arisa Maelle B. 3319. SY, Frances Caerina A. 3320. SYJUCO, Leonard Martin E.
3322. TA-A, Trisha Angelica B. 3323. TABAGO, Timothy John D.
3324. TABANG, Russell Medhurst O. 3326. TABILIRAN, Elro Mar L.
3327. TABIOS, Joromy Ace D.
3329. TABOCOLDE-FERNANDEZ, Ellyn Joy E.
3330. TABUÑAG, Vincent Roel C.
3334. TADEO, Cris Alvin M.
3335. TAGALA, Emmi Rose S.
3336. TAGAMOLILA, Jonathan Eric J. 3337. TAGLE, Jelyn May D.
3338. TAGO, Ameroden Daudey B. 3340. TAGULAO, JR., Nestor A. 3342. TALAG, Ava Beatrice Jackqueline C.
3343. TALATALA, Angelo Carlo T.
3344. TALINGDAN, II, Juan Karlo G.
3348. TAMANG, Mhara Yvette R.
3349. TAMANG, Switle Mae A. 3350. TAMASE, Paolo Emmanuel S.
3351. TAMAYAO, Vicka Marie B. 3353. TAMAYO, John Henry N.
3355. TAMBA, Apple Dawn D.
3357. TAMBOA, Paul Eric C.
3358. TAMBOONG, Karah Jane A. 3360. TAMSI, Ruby Mary Gold A. 3361. TAN, Adrian Joseph B. 3362. TAN, Alyssa Sheena P.
3364. TAN, Celina Grace L.
3366. TAN, Christine Anne Marie L.
3368. TAN, Daryl Ann R.
3370. TAN, Jose Van P.
3371. TAN, Lawrence Oliver C.
3375. TAN, Sarah Jane U. 3377. TAN, Steffanieh Gail M.
3379. TAN DE GUZMAN, Jechel L.
3380. TAN-DELOS SANTOS, Joy Lucille C.
3381. TAN-MONTEMAYOR, Yiyi Khindini Z. 3383. TANDAAN, Raizza Mae M.
3384. TANG, Jeanne Madeleine C.
3385. TANGBAWAN, Archie Carlyle S.
3386. TANTOCO, Jesse Eleazer D.
3387. TAPE, Darryl June Luigi P.
3391. TARUC, Marco Paulo E.
3392. TATO, Achilles Windilen G.
3393. TAULE, Maria Sol G.
3394. TAURO, Gian Carlo C.
3395. TAYAO, Gerard Emmanuel V.
3397. TAÑOSO, Hannah Lea N.
3398. TECIO, Rose Ann A. 3399. TECSON, Jon Constantin L.
3400. TEH, Shelan Jane D.
3401. TEJADA, Marionn Phillbee M.
3405. TEJERO, Maria Danice D.
3406. TELEGATOS, Ivy Audrey D.
3407. TEMPERANTE, Harry Truman B. 3410. TEO, Arvin Randy N.
3412. TERUEL, Gerard Raymund R.
3413. TESALONA, Jayme Marie D.
3414. TESORO, Sir Benjamin R.
3415. TESORO, JR., Rolando C.
3416. TEVES, Cherie Angeli C.
3417. TEVES, Jose Emilio M.
3419. TIANGCO, Ma. Victoria A. 3420. TIATCO, Marie France C.
3421. TIBAY, Ma. Jessica Louise D.
3422. TIBAYAN, Carlo June C.
3423. TIBAYAN, Neil Bryan S.
3424. TIBAYAN, Ralbert John Neil P.
3425. TIDONG, Christian Bryann G.
3426. TIGARONITA, Karla Rachelle M.
3427. TIMBAL, Ma. Cecelia O. 3428. TINDOC, Michael Noblie A. 3429. TINEGRA, II, Oscar A. 3430. TING, Agnes Irene V.
3431. TING, Erich Josef M.
3432. TING, Maria Joy A. 3433. TINGAS, Mi Amor M.
3435. TINIO, Jessa Belle Q. 3438. TIROL, Mark Jason S.
3439. TIU, Andrew Michael O. 3440. TIU, Francis Joseph P.
3441. TIU, Kristel Francine L.
3442. TIU SERRA, Gisela Tea B. 3443. TOBIAS, Jan Carlo C.
3444. TOGONON, Leah Bianca S.
3445. TOHAY, Ada Bonita I. 3447. TOLEDO, Juris Angeli S.
3450. TOLENTINO, John Joseph S.
3451. TOLENTINO, Joseph Anthony F.
3454. TOMAS, Joanna Marie L.
3455. TOMAS, June Rudini L.
3456. TOMINEZ, Aris Voltaire M.
3461. TONIO, III, Tito M.
3463. TORRATO, Leanne Marie L.
3464. TORRE, Stewart Paul T.
3465. TORREFIEL, Eric John J. 3466. TORREFRANCA-NARONA, Valerie Anne B. 3471. TRAYVILLA, Jude Thomas P.
3473. TRINIDAD, Cindy Eunice M.
3474. TRINIDAD, Marie Grace R.
3475. TRIVILEGIO, Enna Fleur C.
3476. TRIVILEGIO, Vanity Gail C.
3478. TROPICALES, Marie Sybil P.
3479. TUASON, Kathleen Mae C.
3482. TUAZON, Julie Ann M.
3484. TUBOG, Maria Antonia P.
3485. TUBON, Mary Jane J. 3486. TUGADE, Rigel Kent V.
3487. TUGADE, Ruby Rosselle L.
3491. TUMAMPOS, Armi Rose C.
3492. TUMANDA, Raia Angelie A. 3493. TUMANG, John Edward M.
3498. TUMBALI, Juan Paolo B. 3499. TUMLOS, Regine Marie A. 3503. TUPENG, Claude Mia D.
3504. TURIANO, Cesna Joyce D.
3505. TURIANO-DE SILVA, Rosalyn B. 3506. TURQUEZA, Caridad Grace T.
3507. TURQUEZA, Fritz Jon N.
3508. TUSI-TORIO, Marie Joan T.
3509. TY, John Benedict C.
3510. TY, Marie Christine M.
3511. UALAT, Irene Kaye B. 3513. UGAY, Maria Lourdes Belyn D.
3514. UJANO, Carla Angeline B. 3515. ULEP, Philip Maurice C.
3517. UMENGAN, Ian Virgil F.
3518. UMEREZ, Karl Eugene A. 3519. UMIPIG, Paulyn Ann A. 3521. UNTALAN, Rhea Lina M.
3522. UNTALAN, II, Eduardo S.
3524. URBINA-ALBIO, Ruby Rose F.
3525. URSAL, April Lynn L.
3527. UY, Arvy Brian M.
3528. UY, Dahn Greigor S.
3529. UY, Eugene Evan Geoffrey E.
3531. UY, Lawrence Louie G.
3532. UY, Marie Anne Cyra H.
3533. UY, Marya Petrina C.
3535. UY, Olezardo Jose I. 3536. UY, William, Jr. T.
3537. UY, JR., Severino P.
3539. UY-MARGAJA, Jurie Anne M.
3540. UYTICO, Clark Edward R.
3541. VALBUENA, Charlotte Jennifer V.
3542. VALDEVIESO, Michael Angelo G.
3543. VALDEZ, Erika Gabrielle C.
3544. VALDEZ, Franz Andrew P.
3545. VALDEZ, Katrina April Mennen A. 3546. VALDEZ, Lurline Joy M.
3547. VALDEZ, Maria Elyanna D.
3548. VALDEZ, Mary Grace T.
3549. VALDEZ, Mary Kathrine B. 3550. VALDEZ, Melody Joy H.
3551. VALENCIA, Erick Anthony J. 3553. VALENCIA, Lady Anne B. 3555. VALENCIANO, Albert Ranier C.
3556. VALENTIN, Aprille Mae Kaye R.
3558. VALENZUELA, Melvyn Lorenzo D.
3559. VALENZUELA-ROVERO, Chiara Chezka P.
3560. VALERA, Carla Angela M.
3567. VARELA, Ma. Hortense Elaiza P.
3568. VARGAS, Paola Marie B. 3573. VASQUEZ, Paula Anne Marie D.
3574. VAÑO, Lord Ronald B. 3576. VEDAD, Noelle Therese G.
3577. VEDAÑA, Marc Salvador B. 3579. VEGA, Thea Elyssa C.
3581. VELA, II, Domingo D.
3585. VELASCO, Jessica Marcela D.
3586. VELASCO, Ma. Monina D.
3589. VELASCO, JR., James Voldemar R.
3590. VELOSO, Maria Karen E.
3591. VELOSO, Rem Beryl Y. 3592. VENCER, Jose Leon C.
3593. VENCER, Jose Ray G.
3595. VENERACION, Rose Camille C.
3596. VENTAYEN-BANATE, Ma. Angelica S.
3598. VENTOLERO, Ed Armand T.
3599. VENTURA, Divina Joy A. 3600. VENTURA, Edelyn Criselle S.
3602. VERA CRUZ, Dolores A. 3603. VERACRUZ, Leia Clarissa Veronica R.
3604. VERBO, Voltaire Socrates V.
3606. VERGARA, Hywel Jose T.
3607. VERGARA, Myta Evangeline R.
3608. VERGARA, Ruperth Laurence A. 3609. VERGARA, III, Jaime Oscar Napoleon T.
3610. VERGARA-HUERTA, Czarina Marta AJ. 3612. VERZOSA, JR., Feliciano A. 3614. VIADO, Reeva Shayne P.
3616. VICEDO, Maria Vita Esper M.
3619. VIDA, John Michael Gabriel N.
3620. VIGILIA, Ray Jacinto V.
3622. VILLA, Felix Michael U. 3623. VILLA-AGUSTIN, Hanna Pearl D.
3625. VILLACARLOS, Rigel Kent F.
3635. VILLAMIL, Guillermo, Jr. A. 3636. VILLAMIN, Devee Mae O. 3637. VILLAMIN, Dimple Lhee M.
3638. VILLAMIN, Kathleen Mae M.
3640. VILLAMOR, Jiselle Rae A. 3642. VILLANIA, Paul Nicholas A. 3643. VILLANOZA, Caryl Jane P.
3648. VILLANUEVA, Heinz Guderian L.
3649. VILLANUEVA, James Francis S.
3651. VILLANUEVA, Jay Pee M.
3652. VILLANUEVA, Jenno Antonio G.
3654. VILLANUEVA, Ma. Clarissa Excelsis S.
3655. VILLANUEVA, Mary Rose C.
3658. VILLANUEVA, JR., Fausto R.
3660. VILLANUEVA-SAIDDI, Jhulie Ann L.
3661. VILLAR, Adelfa Febb Candelaria M.
3662. VILLAREAL, Paul Leonard A. 3663. VILLARES, Cheryl Ann S.
3664. VILLARICO, Dianne Allyn D.
3665. VILLAROSA, Paul Edgar E.
3666. VILLARROYA, Vina Marie S.
3667. VILLARTA, Sheryl Mary N.
3668. VILLARUBIA, Marc Deus Christian P.
3671. VILLENA, Portia Rochelle G.
3672. VILLO, Viktoria Mary Antonette P.
3676. VILORO, Shem Anthony P.
3678. VINLUAN, Peter Glenn M.
3681. VIRAY, Vannessa Anne M.
3687. VISDA, Mac Kerwin P.
3688. VITUG, Rex Napoleon O. 3690. VOGT, Julie Ann D.
3691. WACAS, Santiago, Jr. U. 3696. WASIN, Eduardo, Junior M.
3699. YADAO, Aimee Fortune I. 3700. YAMBAO, Karen Anne E.
3701. YAMBAO, Marian Kay M.
3702. YANEZA, Jeane Benalda Ruth M.
3703. YANG, Daryl Anne E.
3704. YANGA, Gino Angelo P.
3705. YANO, Jean Raiza G.
3706. YAP, Adrian Nigel H.
3707. YAP, Demi Lynn B. 3709. YAP, Mario Raymund O. 3710. YASAY, Jorge Patrick A. 3711. YBALLE, Don Anthony T.
3712. YBAÑEZ, Edelle Beth E.
3713. YBIO, Marie Chielo H.
3715. YEE, Oliver Norman P.
3717. YGNACIO, Marie Angelee V.
3720. YORO, Naydia Carla A. 3722. YSULAN, Aura Bern J. 3726. YU, Trisha Anne C.
3729. YUMANG-PALMA, Ma. Jel Kristine P.
3732. ZABALA, Vincent Sheldon A. 3733. ZACARIA, Sittie Mariam D.
3734. ZAIDE, Anna Dominique L.
3735. ZAMORA, Ruth Anne P.
3736. ZAMORA, Xavier Henry L.
3737. ZAMUCO, Golda Lynn C.
3738. ZAPATA, Alyssa Ana M.
3740. ZAPATA, Ma. Criselle R.
3742. ZARASPE, Gerard Michael O. 3744. ZERRUDO, Danna Laura S.
3745. ZOZOBRADO, Reina Rea Q. 3747. ZUÑIGA-GOLO, Eden Louise P.